31st December - The last location found this year courtesy of a tree featured in THE AVENGERS: The Positive Negative Man. 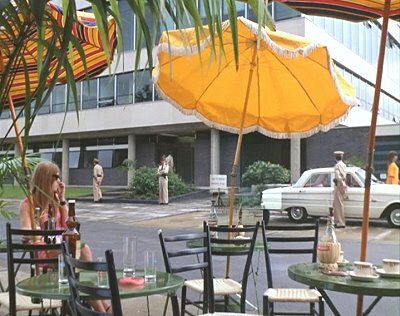 Nemesis agents Sharron Macready (Alexandra Bastedo), Craig Sterling (Stuart Damon) and Richard Barratt (William Gaunt) wait outside a Chinese research laboratory for a signal from an inside man, Ho Ling aka 'Julius Retford' (Rick Young). After breaking into the establishment and collecting samples of deadly bacteria the Nemesis agents are pursued by Chinese guards (lead by Anthony Chinn). Ho Ling manages to get a seat in one of the pursing trucks so he can report back to Geneva. 13th December - Well done Greg Mishevski, aka SainT on the Britmovie Forum, who has found the final Mews on the Unknown Mews page. 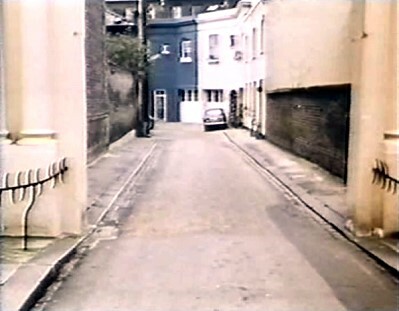 Pindock Mews, Maida Vale, W9 - Simon Templar (Ian Ogilvy) chases Masroof (Stephen Grief) to the road at the back of the Black September hideout. 10th December - Another excellent find from Greg Mishevski, aka SainT on the Britmovie Forum. This location has been unsolved for a number of years despite many people trawling through an awful lot of mews. Redcliffe Mews, South Kensington and Harcourt Terrace, SW10 – Commercial artist, Steven Miller (Chad Everett) has received an invitation to attend a weekend party in the country and sets off from his mews flat in his 1929 Bugatti and drives from the mews onto a London road (Redcliffe Mews on to Harcourt Terrace). 1st December - Congratulations on a fine piece of location detective work from Greg Mishevski, aka SainT on the Britmovie Forum, who does all his location spotting from Macedonia. This location has been high on the list of important unknown DANGER MAN for many years, well done Greg. 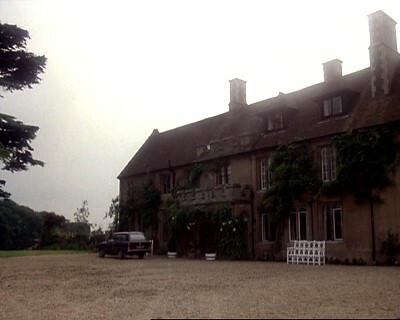 Bulkeley House, Middle Hill, Englefield Green, Surrey - Eddie Geld sends John Drake (Patrick McGoohan) to a safe house run by Madame Nandina. He is met at the door by Canesi (Sandor Ellis). Later Drake follows Laprade (Ferdy Mayne) from the house. 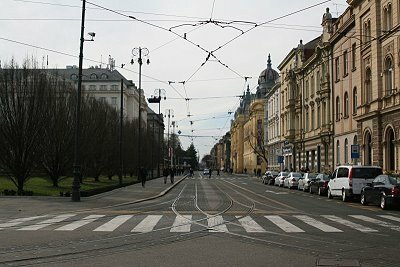 I have to apologiseto Greg for not posting up these Zagreb locations earlier. 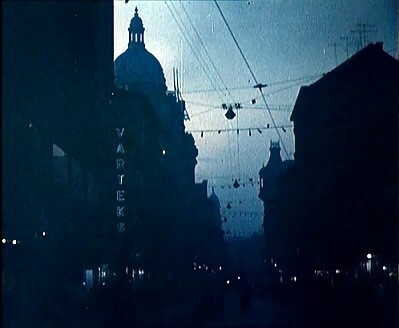 Although they are included on the Croatia page, Zagreb was part of Yugoslavia when this footage was filmed. Greg took a lot of effort to arrange for these photos to be taken. 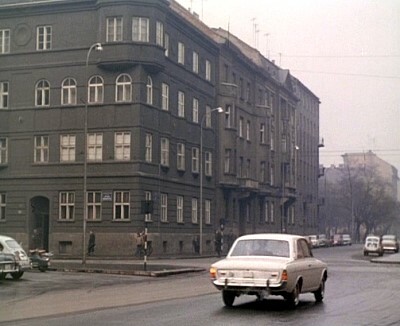 The corner of Mihanovića and Jurja Haulika, looking northwest - Ruth Klinger is taken to the secret police headquarters in East Berlin to be questioned. 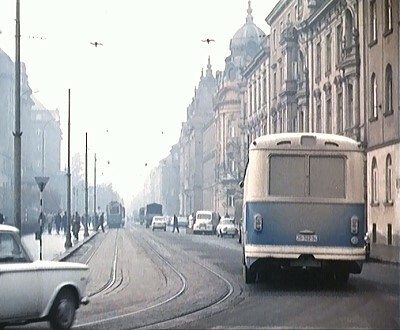 Taken from the number 16 Ilica looking west - A British agent is picked up by the secret police in Eastern Europe. 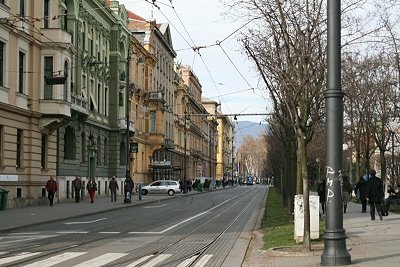 The corner of Trg Ante Starčevića and Trg kralja Tomislava, looking west - A British agent is picked up by the secret police in Eastern Europe. 16th November - Ed Osborne has done a magnificent job in finding The Carnisero from THE CHAMPIONSepisode Get Me Out of Here!. 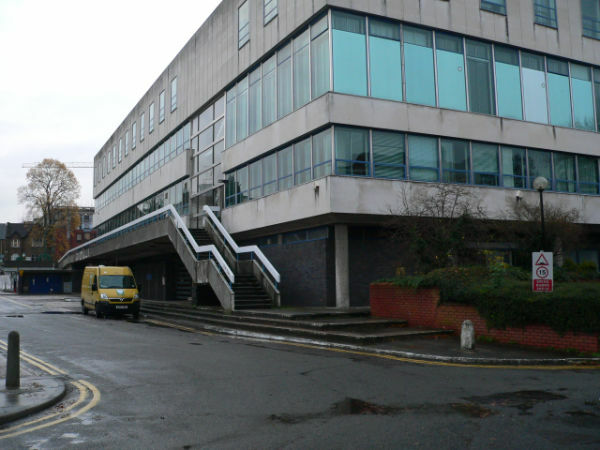 This is the Civic Centre, Dacorum Way, Hemel Hempstead. We have not had a location in central Hemel Hempstead before so eagle eyes and a quick wit were required. 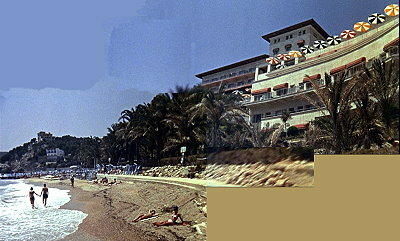 Ed has also been kind enough to send in a couple of photos showing that the building has change little since 1967. THE CHAMPIONS: Get Me Out of Here! B21: Hemel Hempstead Civic Centre, Dacorum Way - From a café across the street Sharron and Craig Sterling watch “The Carnisero”, where Professor Anna Maria Martes is being held. That night Craig and Richard break into The Carnisero and free Maria Martes. 10th November - After looking long and hard Geoff Dodd has managed to find this missing location from THE CHAMPIONS: Nutcracker. This has been a difficult search as locations in Saint Albans' are also used in this sequence. 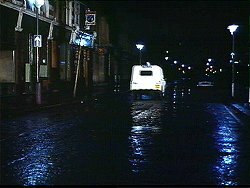 Lower Merton Rise, NW3 - The fake police car drops spikes on the road to prevent Craig from following Richard from the tailors' shop. 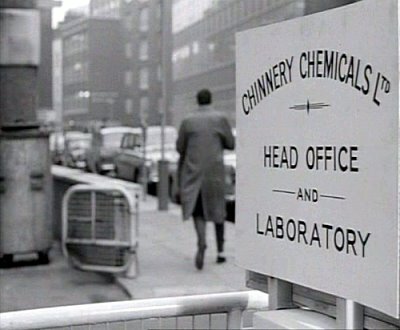 6th November - Chris Mac of the Britmovie Forum was quick off the mark when he identified this location from THE AVENGERS. Chiswick House, Burlington Lane, Chiswick, W4 - Carlo (Robert Rietty) has followed Steed (Patrick Macnee) to a park (Chiswick House gardens)where he has taken his dog, Sheba, for a run. Carlo attempts to shoot Steed with a silenced revolver but misses. Carlo panics and runs away leaving the pistol and his briefcase behind. 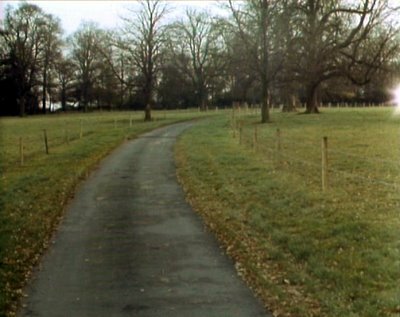 5th November - Mike Richardson has spotted that the 1972 Wings single, Mary Had a Little Lamb, had a promotional film shot at N35: Tykes Water Lake and Aldenham Park. 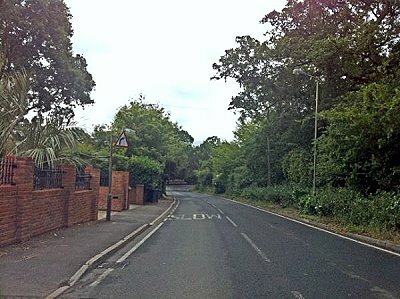 N54: Links Drive, Elstree - Craig is driving in his Mercedes as herealises that Richard is being kidnapped from his flat. Chilworth Street, W2 - The Saint drives through London in his Volvo (past The Casserley Hotel, Chilworth Street at the junction with Gloucester Terrace). He parks outside a house and breaks in. 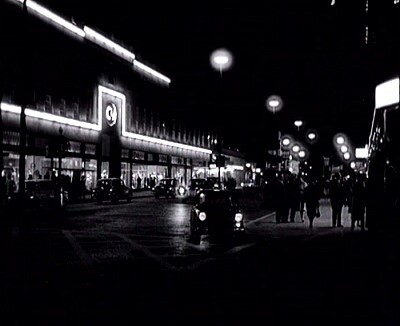 Oxford Street, W1 - Commander George Gideon drives his family to the cinema after a meal in town (footage of C&A Oxford Street opposite Selfridges, now a Primark). 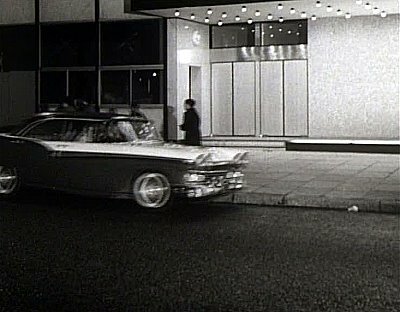 Euston Road, NW1 - Mayne and Mrs. Delroy pull up in a Ford Fairlane saloon outside a modern office block (Marathon House) across the road from Gina Scarlotti's shop in Rome (narrowly missing John Drake as he runs across the road in Washington D.C.). F21: Denham Aerodrome, Denham - Eastern Europe - An small aeroplane arrives and the pilot gets out watched by four Soviet officials by a jeep in the nearby trees. They are all waiting for Baxter (Gerry Crampton) who arrives on a motorbike with a case. The pilot attempts to shoot Baxter as he arrives, but his gun jams. 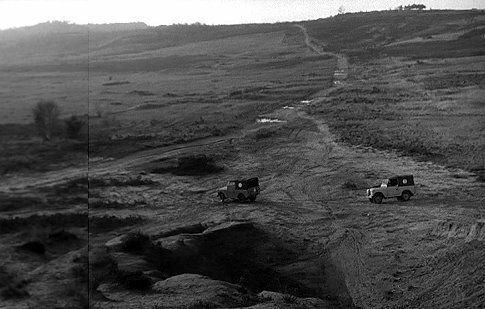 Baxter tries to escape, but he is pursued and gunned down by the men in the Jeep. One of the men, Profokiev (Leon Eagles), gets into the plane with a case identical to that of Baxter and flies off with the pilot. Pan leading to Plaza Marques de Pombal, Lisbon, Portugal - establishing shot as Jason is in Portugal investigating Señor Ramos. 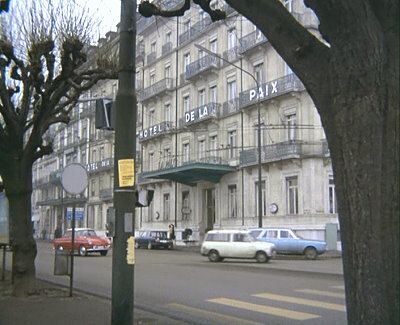 Hotel Ritz, Rua Rodrigo da Fonseca, Lisbon, Portugal - Jason's hotel whilst he is investigating Señor Ramos. 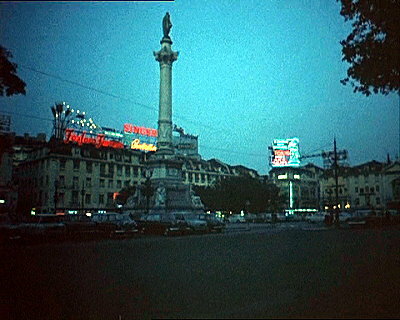 Rossio Square Lisbon, Portuga - Establishing shot of Lisbon at night as Jason breaks into Ramos & Ca. Lda..
Piazza Nicola Amore, Naples - Jason visits car showroom. 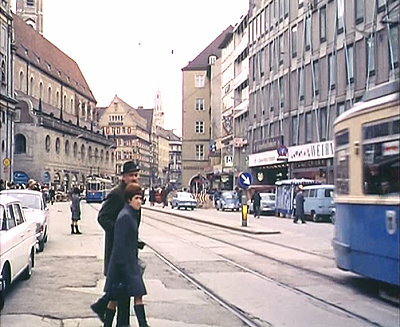 Neuhauser Strasse, Munich, Germany - Marty transports himself to Munich to watch the England vs. West Germany football match. Plus Wembley stadium for the football clips. 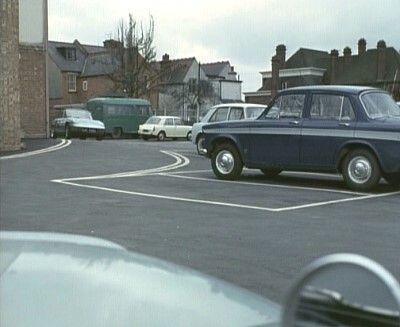 Randall leaves the police station with Marty in the Mini after being told not to leave town. 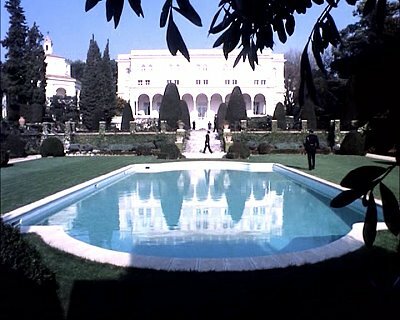 Also news that the Koestler’s mansion from THE PERSUDERS! : Powerswitch may have been identified on the Roger Moore forum. This also appears in THE ZOO GANG: Mindless Murder. There is quite a lot of work being done to identify location in Riviera on this form so it is worth a visit. 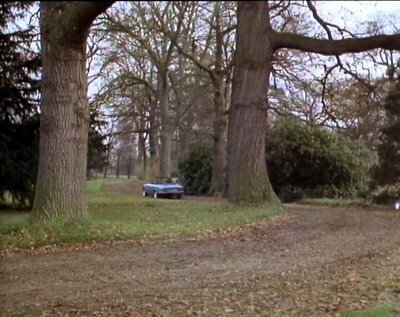 N35: Aldenham Park - Steed (Patrick Macnee) and Tara (Linda Thorson) go to visit Brigadier Wishforth-Browne (Anthony Newlands) at an army training ground where troops are exercising. 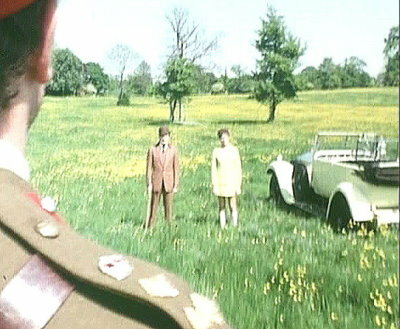 Later they go back to a meeting with the Brigadierin Steed's yellow Rolls Royce and are nearly run down by the corpse of the Brigadier which has been put in an unmanned jeep. 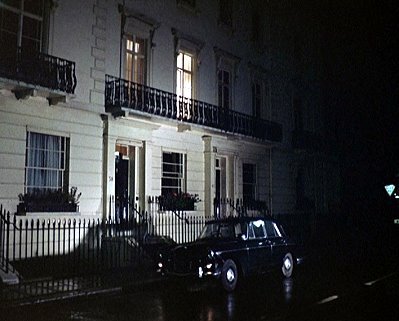 Corner of Sussex Place and Strathearn Place - Harry takes Christie to Paul’s flat. 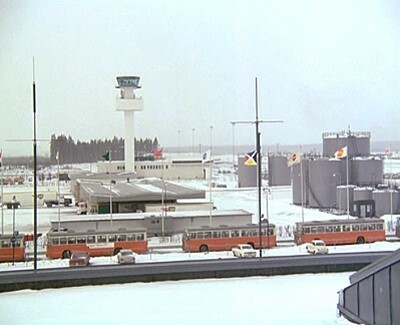 Stockholm Arlanda Airport, Sweden - Danny sees Bret and his new wife to the plane as they fly out of Stockholm. 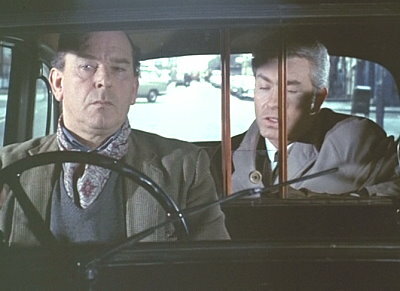 Stone (Christopher Lee) is drawn to the radio of a young man sleeping by his Triumph roadster. 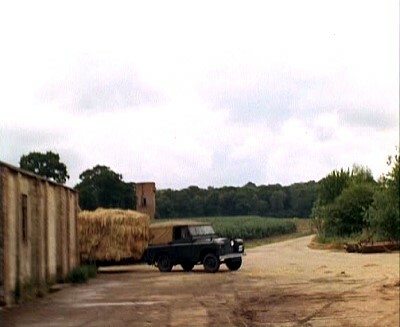 Steed (Patrick Macnee) drives along in his Land Rover looking for the mysterious stranger. Doctor Penrose (Jeremy Young) and a number of men from the Neoterric Research Unit search the woods for Stone. 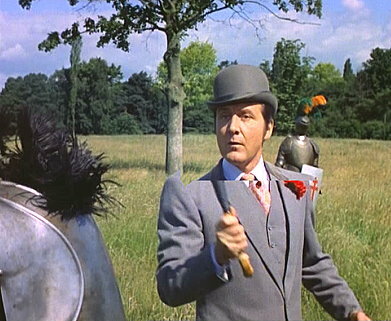 Steed (Patrick Macnee) battles with empty suits of armour. 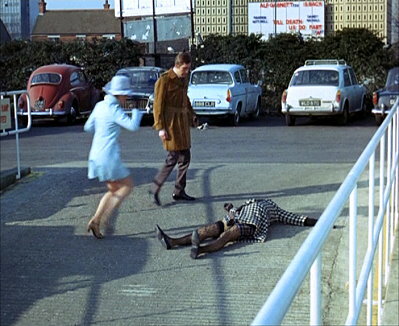 Morgan (Les Crawford), leads Mrs Peel (Diana Rigg) towards a nearby caravan, but as they pass a haystack Skelton (Simon Oates) jumps out and tackles Mrs Peel. 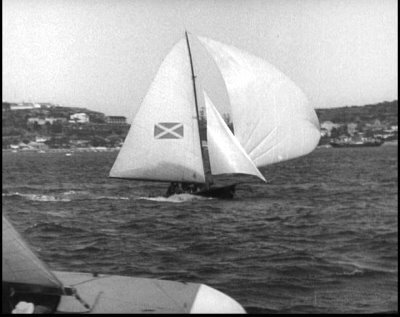 Steed (Partrick Macnee) and Unwin (Barrie Ingham) are not far behind and it is not long before Unwin is also captured by Skelton. Steed soon discovers Needle's hiding place and Steed battles with Morgan. 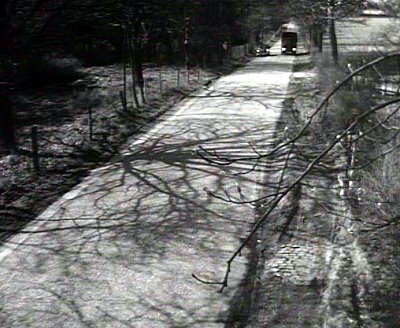 Needle attempts to flee in a Landrover with the ransom money, but the case explodes blasting the Land Rover to pieces and Needle into a tree. Tara King (Linda Thorson) waits in her AC Cobra for Lord Barnes who is arriving by Hughes 269B helicopter. Mother (Patrick Newell) sets up his mobile HQ in a field in his Bentley with the help of Rhonda (Rhonda Parker). He briefs Tara (Linda Thorson), sitting on her AC Frua and Steed (Patrick Macnee)with his Yellow Rolls Royce Silver Ghost. Paid informant, Fillington, is practicing football in a field when Sgt Blackie (Glynn Edwards) creeps up and shoots him from a distance. Steed (Patrick Macnee) invites Tara (Linda Thorson) to share a meal with him in a field. He cooks a steak using the heat from the engine of his Yellow Rolls Royce Silver Ghost. 15th August - A couple of new unknown locations from THE AVENGERS: The Interrogators on page LS2. 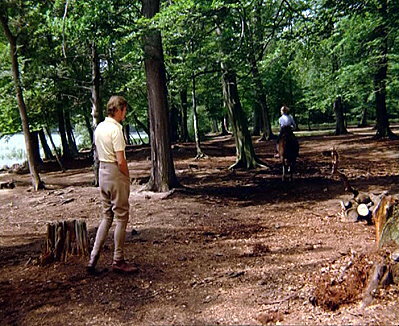 Whilst out riding Lord Brett Sinclair (Roger Moore) attempts to warn Shelley Masterton (Jennie Linden) about Carl Foster. 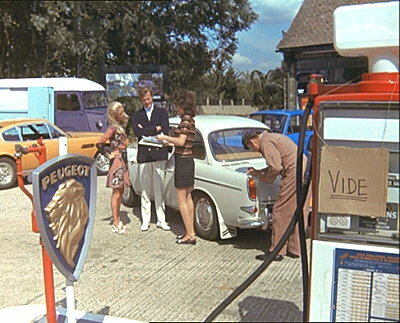 Lord Brett Sinclair (Roger Moore) and Pekoe Rayne (Annette Andre) ask a car rental agent (Vicki Woolf) about car rentals at Pinewood Garage (opposite the studio's double lodge entrance, now gone unfortunately). 7th August - Alan Leventhall spotted this establishing shot in THE BARON: The Man Outside and has identified it as Stow-on-the-Wold, Gloucestershire. There have been a number of locations spotted recently that we've overlooked, so please keep you eyes open and let us know about any others we may have missed. 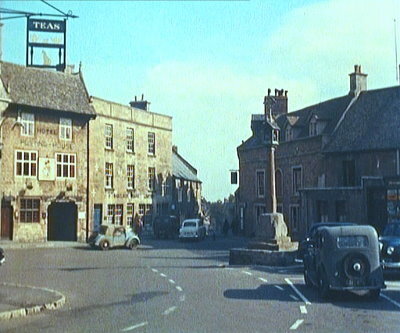 Stow-on-the-Wold - Mannering and Cordelia arrive in the Jensen at Scottish town to attend the inquest into Douglas McKrae's death. 16th July - Geoff Dodd spotted the same car parked up in these episodes and was able to kill two birds with one stone and a lot of detective work. 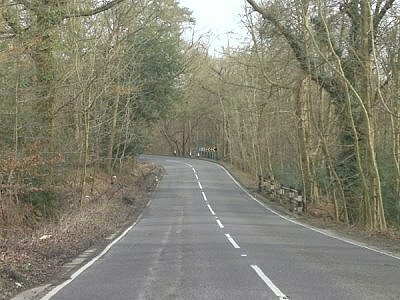 R13: Hendon Wood Lane - Stewart Sullivan and Jason King drive to the Northover Atomic Power Station in the hope of finding Annabelle. Geoff also set in photos of how it looks now. R13: Hendon Wood Lane - Weber and his men go in search of Johnny’s secret with Stuart Sullivan in tow. They find themselves close to Per le Chaise cemetery. 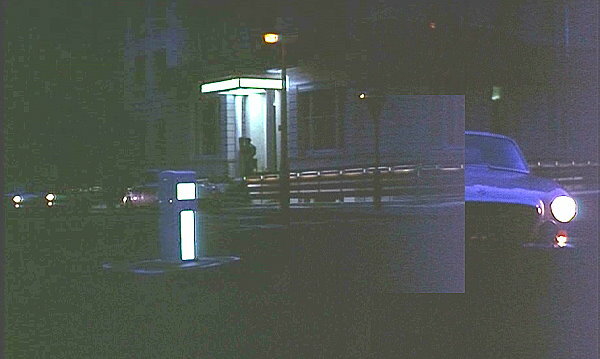 The police are not far behind with Jason and Annabelle (footage filmed at same time as above). 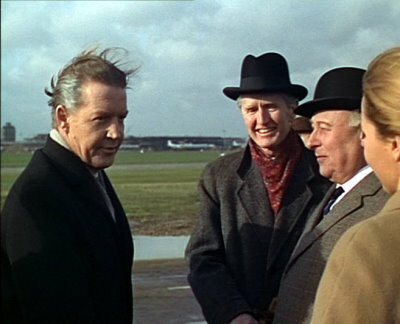 Heathrow Airport - Dr James Norbert (Ray McAnally) arrives at London Airport from Manchester and is met by various officials and his daughter Martha (Jacqueline Ellis). 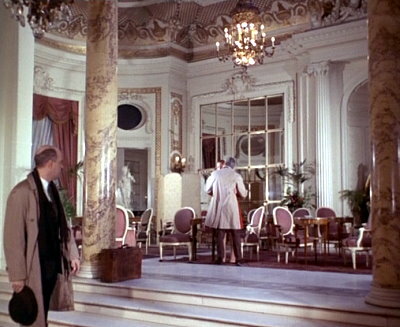 The Ritz Hotel, Piccadilly, W1 - McGill (Richard Bradford) arranges a meeting with Martha Norbert (Jacqueline Ellis) in the lobby of the Ritz. Somehow the CIA man Johnson (Warren Stanhope) is there also, but McGill manages to avoid a confrontation. Whitfield Street on to Tottenham Street on to Charlotte Street, W1 - On his way to Lancaster House in a taxi, McGill arranges with a taxi driver to drop him off surreptitiously so he can confront Simon Croft. Tottenham Court Road, W1 - Dr James Norbert is driven from London Airport into town, but the events of the previous night weigh heavy on his conscience. 6th July - Paul Stroud has been at the carrots again and has spotted two locations from MAN IN A SUITCASE: Web with Four Spiders. Ruislip Road, Greenford, Middlesex - With Croft's chauffeur, Frederick, in the back of the limousine, McGill leaves his hotel and drives off for London followed by intelligence agents. 29th June - Another Swedish location identified by Paul Stroud. 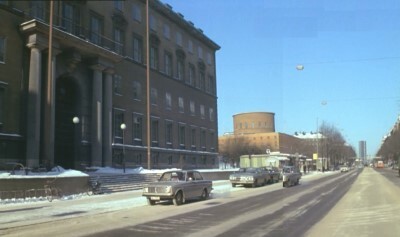 Kungstensgatan, Stockholm, Sweden - After escaping from the Marriage Bureau Danny jumps into Bibi Bergman's car. She offers to drive him to Gunar Christianson's office at the health club. 18th June - Julie Cartwright spotted Montpellier Place, SW7 in THE NEW AVENGERS: Sleeper and after checking the site noticed it was not listed in the index or in Action City. After a thorough search she found it in one of our obsolete pages. Thanks to Julie the listing had been indexed and inserted into the guide with a credit to its original finder, Sam Denham. Without her spotting this location for a second time, it could well have been overlooked. Montpellier Place, SW7 - Steed and Gambit halt at a no entry sign at a road junction (junction of Montpellier Walk and Montpellier Place) in the Jaguar. They see a policeman sleeping beneath the sign and continue on their way (along Montpellier Place). Rue Dejean, Paris - Jason and Stewart got to the Bar Rapp, Rue St. Dominique as requested. 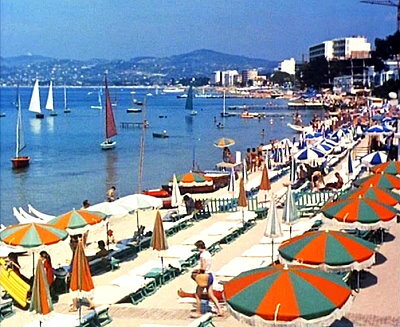 St. Tropez harbour - The Department team set up headquarters in a harbour hotel. 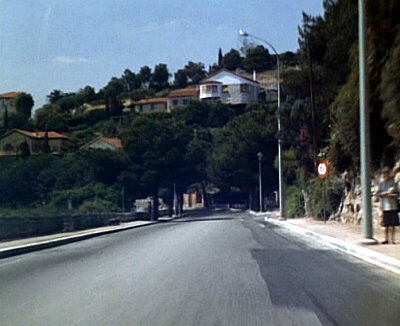 St. Paul de Vence - Gerrard drives up to the villa of Lucky Le Beau. 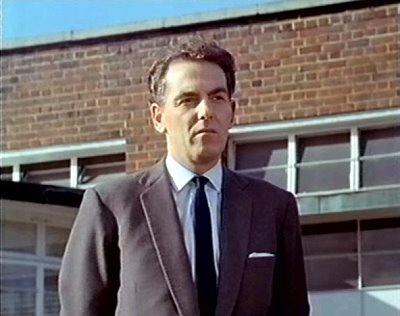 RANDALL AND HOPKIRK [DECEASED]: Could You Recognise the Man Again? Frith Street, W1 - Establishing shots for Ben Craddock’s amusement arcade, where Jennings arrives to collect £50 arrears protection money. Greek Street, W1 - Establishing shots for Ben Craddock’s amusement arcade, where Jennings arrives to collect £50 arrears protection money. Culverhay, WC2 - Early morning Covent Garden, and Jeff is still searching for the Rodens. Macclesfield Street, W1 - Jeff Randall is spending the night visiting various clubs looking the Rodens (looking towards Dean Street then panning to the Red Mill Club, 12 Macclesfield Street). Chalcot Crescent, NW1 - Jeff drives Sandra home, shot is reversed (an identical shot to When the Spirit Moves You, but reversed). 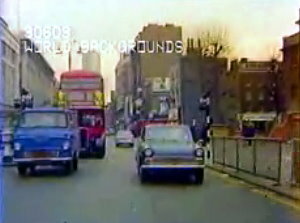 Greenberry Street, NW8 - Jeannie drives to Jeff’s in the red Mini in order to provide an alibi. Glasgow - Randall leaves Glasgow with Dandy Garrison on the London Express from Glasgow Central Station (establishing shot Glasgow Central Station, Gordon Street). M25 - Pegmire Lane, near the junction of Summerhouse Lane, Patchetts Green - After collecting Lord Barnes, who has arrived by helicopter, Tara King drives him home in her AC Cobra. 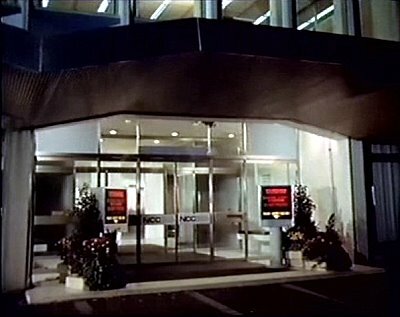 Walton Court, Station Avenue, Walton-on-Thames – The main entrance to the office block where the National Computer Centre is housed and the Madisons work on the Computex GB computer. Cannon Street, EC4 - Steed and Cathy look out across the city from Litoff's bedroom window where they are trapped. The University of London Observatory, Mill Hill, NW7 - Professor Richter is working late into the night at Tor Point Observatory, Cornwall. Bedford Way, WC1 - The chauffeur driven Rolls Royce containing Steed moves away from the kerb (Bedford Way) and then takes the first road on the left (Tavistock Square), only to be followed by a potential assassin driving a Sunbeam Alpine convertible. Tottenham Court Road, W1 - The Rolls Royce that Steed is a passenger in is followed down the busy high street (Tottenham Court Road) by a Sunbeam Alpine convertible. Both vehicles then turn left into a side street (Maple Street). Richmond Hill Hotel, Richmond Hill, Richmond-upon-Thames, Surrey - The chauffeur driven Rolls Royce containing Steed turns off the road (Richmond Hill) and goes into the hotel car park followed by a Sunbeam Alpine convertible. The Rolls is then driven around the side of the building and stops behind the hotel. Weston Green, Esher, Surrey - Rankin (John Sharp) walks his dog to the local shop, where the animal enters the premises alone. Meanwhile, Rankin moves off to stand beside a tree on the grassland opposite the shop. 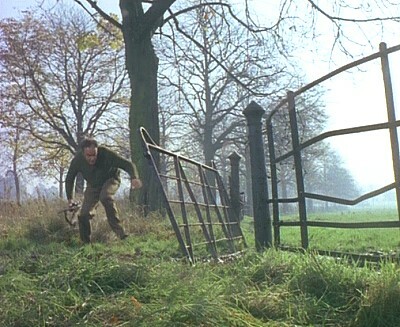 Having walked across the grassland, Graham (William Gaunt) arrives and he enters the shop. The following evening an anxious Mellors (Ian Shand) arrives at the Glendower Arms Hotel (The Greyhound) in his Morris 1000 Traveller at night for a meeting with Rankin. 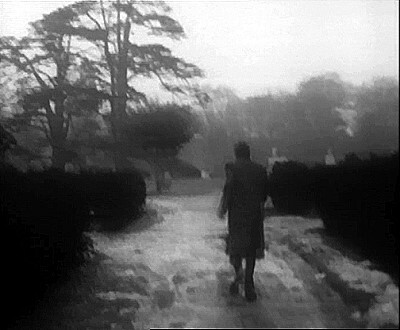 Later, Mellors leaves and getting back into his car, he is attacked from behind by an assailant who garrottes him. 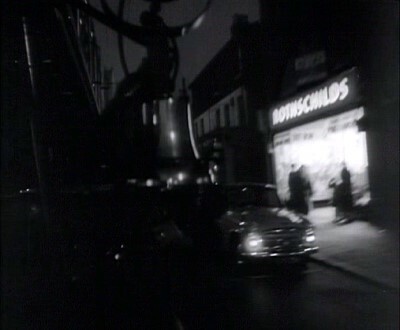 Later, Franks (Richard Leech) arrives and he also enters the shop. 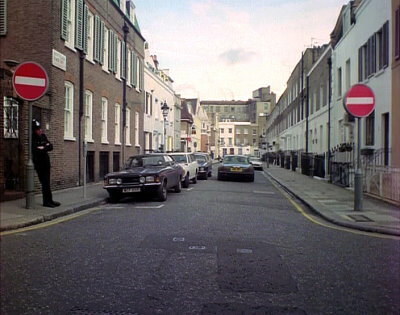 Endsleigh Street, WC1 - Steed (Patrick Macnee) parks his AC Greyhound sports car and after placing some money in a parking metre, he walks up the street. 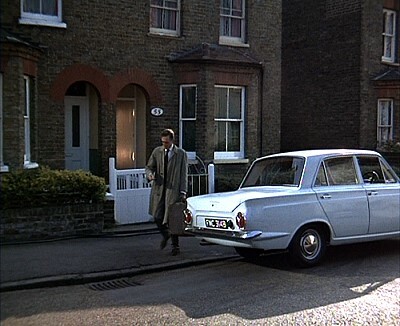 Meanwhile, having parked his Ford Consul some distance away and on the other side of the road, Fraser (Michael Mellinger) proceeds to follow Steed on foot. Tavistock Square, WC1 - Steed enters the Tavistock Hotel, where he has hidden his charge Roland. 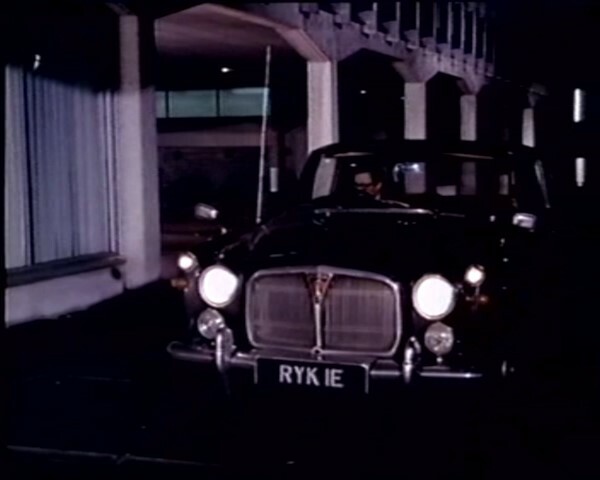 Later, Steed (Patrick Macnee) leaves the hotel impersonating Roland and gets into a chauffeur driven Rolls Royce. Albert Embankment, SE1 - Establishing shot of Hampton House, as the offices of the Reniston Group shipbuilders. Berkley Road, NW1 - Tara and Steed leave London in Tara's Lotus on their way to visit one of Steed's childhood haunts (Berkley Road on to Sharpleshall Street). 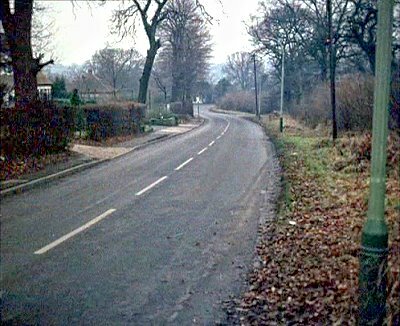 Alberton Drive, Ringshall- Paul Roper (George Cole) arrives home in his bronze S.H.A.D.O. car to find Carol (Sonia Fox), his Wife, has been visited by a dangerous intruder. Some nights later the Ropers arrive home after a night out. As Paul puts his car away he takes the opportunity to pass on the information requested of him. Alberton Drive, Ringshall- Straker arrives home late at night with Jo Fraser. 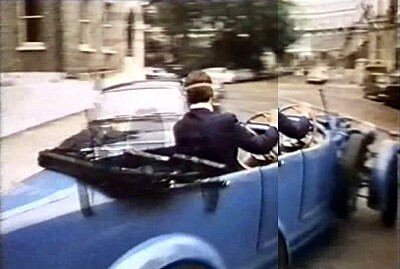 Broom Road, Teddington - John Steed (Patrick Macnee), dressed as an navy Commanderarrives in his Lagonda at the research laboratory to see Doctor Gale, he is allowed through the gates of the establishment (Teddington Studios gates). Parliament Square, SW1 - Establishing shot of the Ministry of Science Division Of Astronomy (H.M. Treasury building). 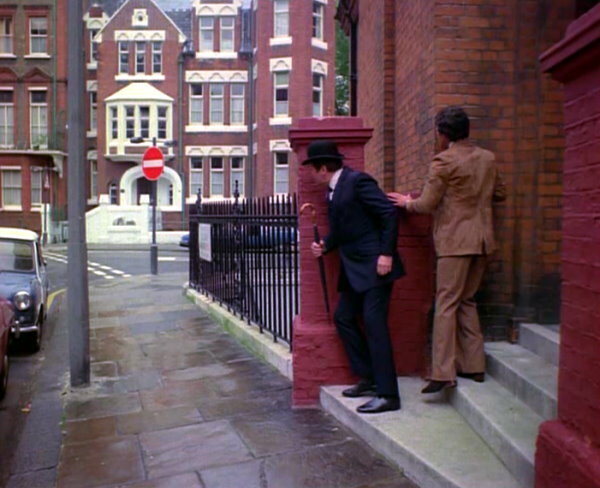 Cromwell Road, SW7: John Steed (Patrick Macnee) walks along Cromwell Road to pay a visit to the Natural History Museum to find Cathy Gale. Covent Garden, WC2: John Steed (Patrick Macnee) walks through the fruit and vegetable market for a meeting with One-Ten (we see a street sign indicating the junction of Covent Garden and Russell Street). Floral Street, WC2: John Steed (Patrick Macnee) walks towards the pub where he will meet One-Ten (The White Lion, 24 James Street). 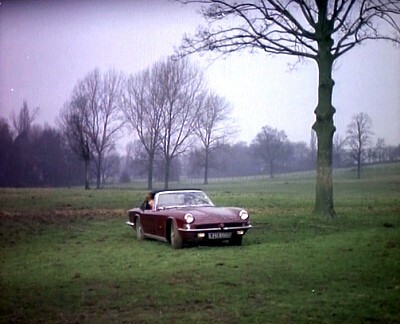 N21: Mrs Peel drives Paul Croft to his new home in Little Storping-in-the-Swuff in her Lotus. On the way they pass Samuel Morgan (John Chandos) driving a Limousine towards the village (Silver Hill, near Shenley). 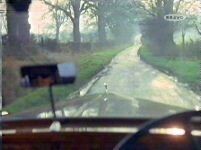 N26: Mrs Peel drives Paul croft to his new home in Little Storping-in-the-Swuff in her Lotus (driving out of Shenley along Harris Lane). 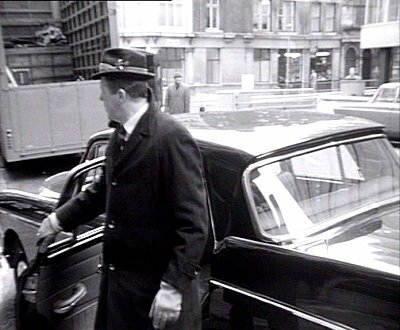 N4: Gordon (Trevor Bannister) plants a baby bouncer in the car of Sir George Collins (Patrick Newell) parked in the car park at the rear of his apartment (Studio 70 Cinema). Once the ball is planted he return to his blue Mini van and a figure dressed as a nanny gets out of the rear. 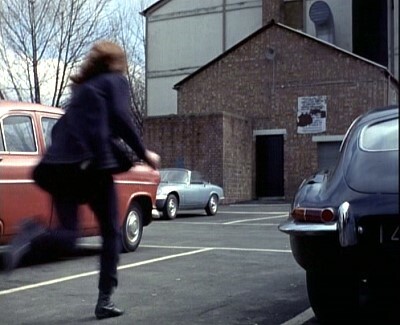 Mrs Peel (Diana Rigg) arrives looking for Sir George when Gordon (Trevor Bannister) intervenes by trying to run Mrs Peel down in the Van. She escapes into the back door of the apartment block watches as the nanny leaps into the van as it drives off. She finds Sir George in his car behaving very strangely. 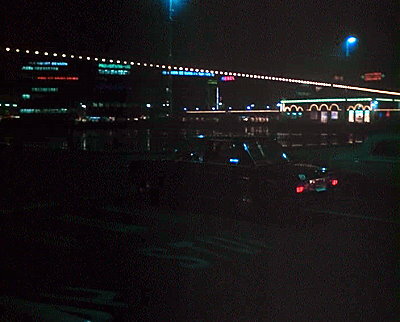 This was thought to be a studio car park, but has been found to be the car park of the cinema that used to stand directly opposite the studio seen in the photos below. Drake steals a Land Rover and is pursued by his former comrades. The Baron travels to Khakania and drives to the house of Olmira with his granddaughter, Savannah. They are followed all the way by Salar and Shamir in a Jeep. Later, Dressed as farmers The Baron and Savannah drive across Khakania to the border, with the statuette, followed by Salar and Shamir in the Jeep (Frensham Common). 13th April - LS86 updated. 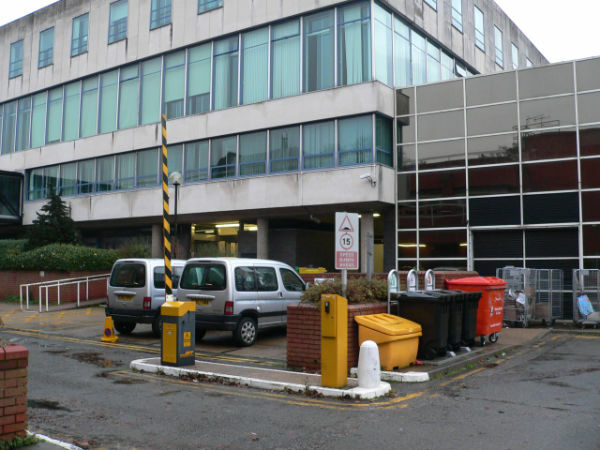 St Charles' Hospital, Exmoor Street, W10 - Cerdan (John Abineri) walks out of his hospital ward (Saint Charles' Hospital) and steals the car of a young man who is busy talking to a two nurses. The man notices too late and Cerdan drives out of the hospital gates. Boulevarde de la Corne d'Or (D6007), Villefranche-sur-Mer, France - After arriving in Europe Number 6 drives along a twisting Corniche (Starting west of Avenue RaquellMeller and ending at the Corniche Andre de Joly).and enters a small town, in his Lotus, on his way to Seltzman (World backgrounds clip 309028). 10th April - LS33 and LS41 updated. Associated British Studios Screen Grabs page updated. 5th April - LS30 and LS40 updated. 3rd April - LS26 updated and some identified locations moved to LS00. 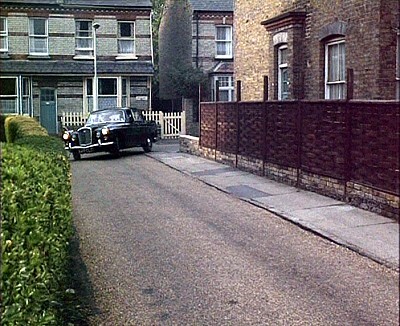 N19: High Canons, Buckettsland Lane, Well End - Mrs Peel is at Venus Browne's house when it is attacked by a light ray. 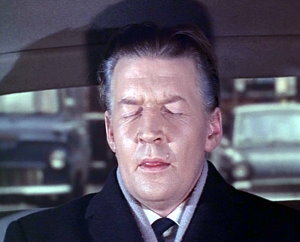 Mrs Peel can only watch as the mysterious light winds its way down the road. G28: The Ridgeway, Northaw - The Citroen with Earle and Gardiner on board leaves Flanders' house carry a number of expensive paintings with them (towards the Well Road junction). Later Steed driving the breakdown truck back to London weaves across the road (in the opposite direction). Thanks also go to Geoff for providing photos. Beckton Gas Works (demolished) - Former British agent Freddy (John Carson) is sleeping off a heavy night in an abandoned building when he is awoken by the arrival of two Land Rovers carrying Professor Taylor (David Swift) and his men. 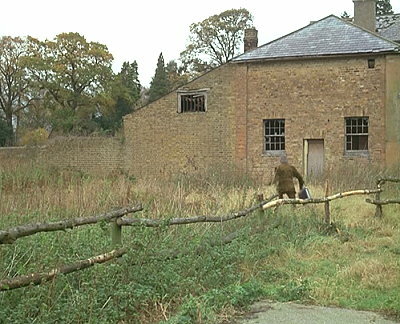 The men search the building and find a guinea pig which bites Tayman (Lionel Guyett). Professor Taylor is forced to shoot Tayman. Freddy watches as Taylor and his men drive away with their prize. Wymondley Road to the south” of the Goods Yard, Hitchin Station (now part of Wedgewood Road redevelopment) - Farnberg drives from London to the spot where he has hidden Mrs Ballinger. Simon and Dunstan are following close behind. Alan also sent in a number of recent photos of N21: London Road. 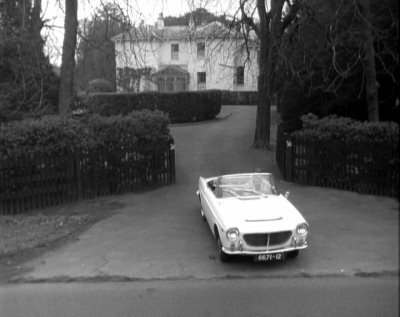 Cavaye Place, SW10 – Simon Templar (Ian Ogilvy) arrives in his Jaguar to ask his garage attendant, Fred, if he has noticed anything suspicious. 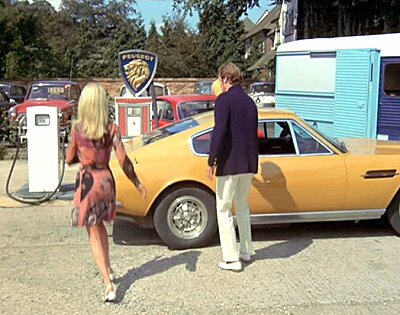 Later Simon and Lynne Jackson (Anouska Hempel) arrive in a Volvo at the entrance of Simon’s garage. 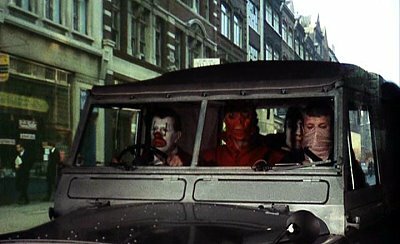 They wait for Fred (George Cole) to leave in his Morris and they follow. Kings Road, SW3 crossing the junction with Old Church Street, heading west - Sloan decides to beat up Elspeth McCrae to teach her a lesson. 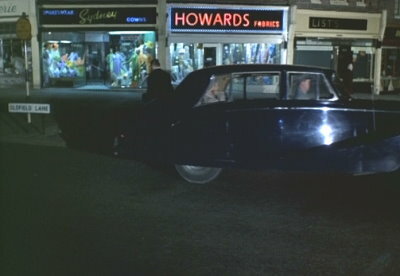 Sloan’s gang drive in the Bentley to find a phone box near her flat. They are followed by plane clothes policemen. 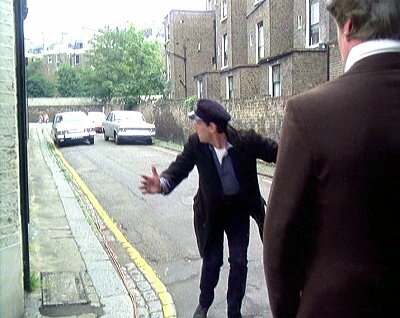 Sevington Street, W9 – The police are watching Kautsky’s house so he sends his son, Sid to collect the pay-off money. 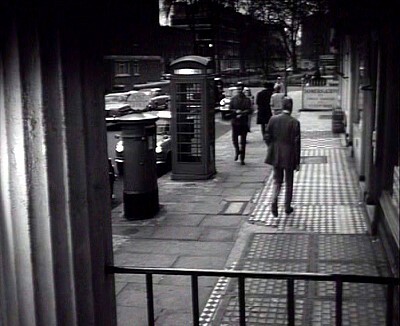 Connaught Street, W2 – Bailey is watched as he makes a call from a phone box. N53: Butterfly Lane, Elstree - The decoy van driven by Kautsky is pulled over by two police officers in a patrol car. Francis Street, SW1– Police cars patrol the street looking for Fischer as well as dropping of descriptions to constables on the beat. 28th March - Sam Denham has written in with a location he is surprised that he had not recognised before,. From RETURN OF THE SAINT: One Black September, and now one of London's top attractions. 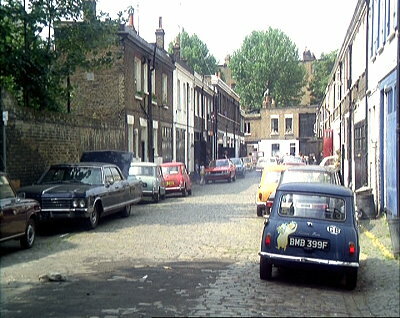 Chalk Farm Road, NW1: Garton (Aubrey Morris) is working in his stables workshop (former Midland Railway stables, now Stables Market) with his gorilla (Ron Tarr) when he gets a call from Simon Templar to tell him that he is about to pay a visit. 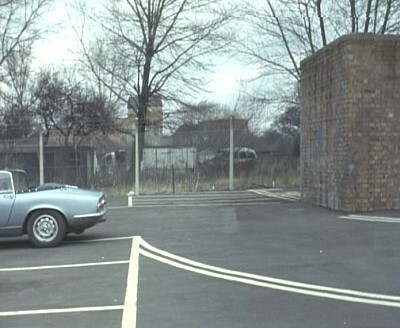 Simon Templar (Ian Ogilvy), in his Jaguar XJS with Captain Leila Sabin (Prunella Gee) aboard (drive past the Camden Roundhouse and) arrive at the stables where they question Garton about the passport he is forging. Queens Gate Terrace into Gore Street SW7 - After leaving Jean’s flat Jeff and Marty drive in Jeff’s Vauxhall towards the hotel where the beatnik is staying. O1- Deeve's Hall Lane, Ridge - Flanders' (Edward de Souza) Rolls Royce breaks down in a quiet country lane. Fortunately Stanley (Tony Selby) arrives in his breakdown truck to offer assistance. 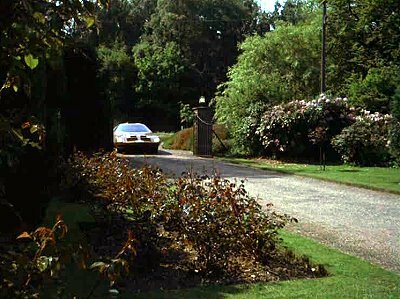 O1 - Deeves Hall Lane - Chino drives Harry and the Contessa to the late Ralph Corder's house. 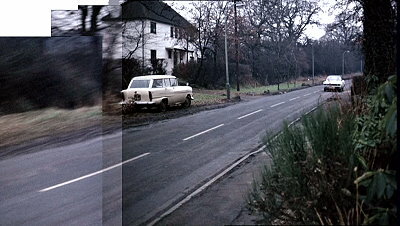 Totteridge Common at the junction with Chestnut Lane – Eddie arrives on his bike at the home of “The Scorpion” (The Scorpion's house had been demolished). Grande Place, Brussels- John Drake is in Zurich with Colonel Keller on the trail of Nazi gold. 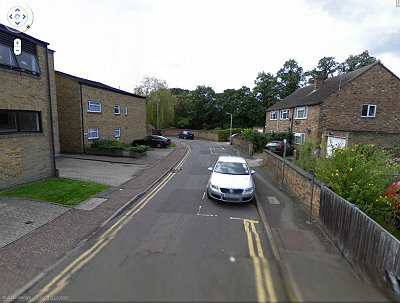 Barnet Way - Leaving Apex Corner towards Borehamwood – It the back of a police car Detective Superintendent Warr is told to investigate the late Mr. Henderson’s accounts by Commander George Gideon. 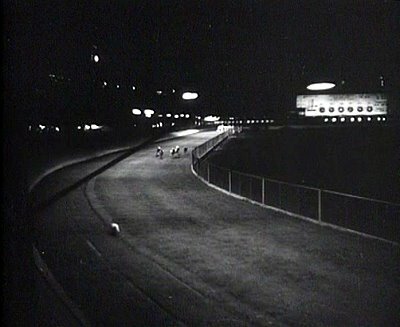 White City Stadium - Ralph Maricut is picked up at the dog track by the police. 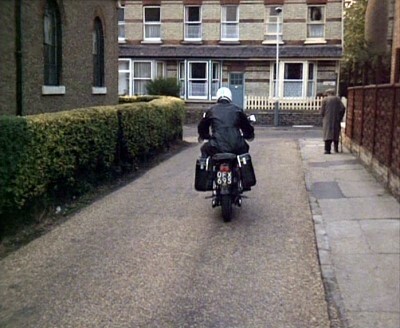 Kilburn High Road – Eddie Black makes his way to Patsy Butler’s flat (motorcycle turning is Kilburn High Road into Quex Road). 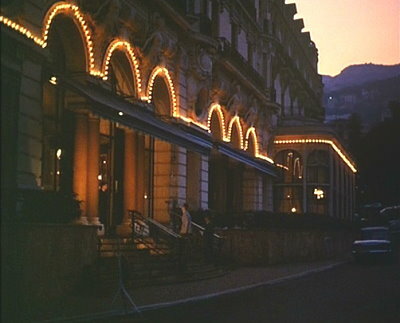 The Hotel de la Paix, Quai du Mont Blanc, Geneva - Brett and Danny's hotel. Later Danny drives past the hotel on his way to the bank. 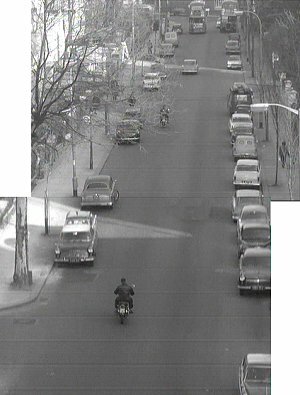 Place du Bourg de Four, Geneva - Danny and Brett leave the Police Station after being interviewed about the death of Monsieur Ganguin. 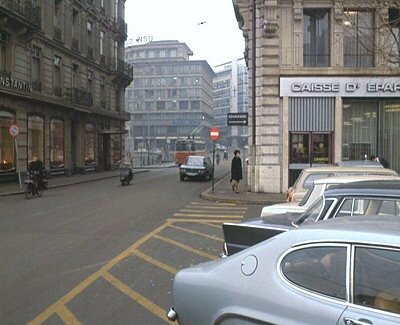 Place Philibert Berthelier, Geneva - Danny Parks his car in front of the Caisse d'Epargne on the Place Philibert Berthelier, Rue des Moulins on his way to the Yelker Trust Bank. 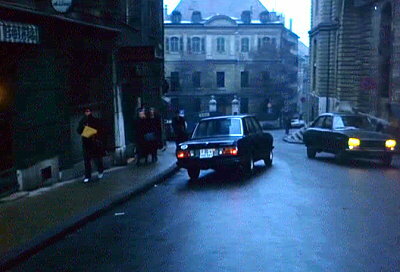 Place des Bergues, Geneva - Danny drives to Walther and Dante's office. 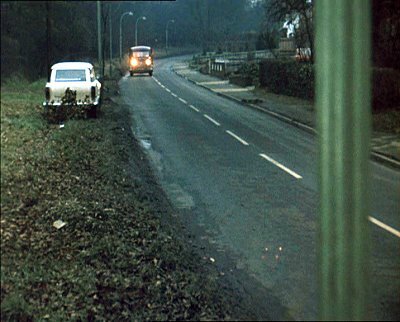 Q30: Nutt Grove, off Edgware Way- Simon Templer arrives in his Volvo at the Reeland Nursing Home to interview Frank Landon. 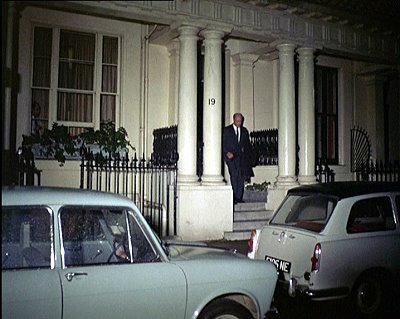 Lennox Gardens, SW3 –Annabelle and Jason wait outside Howard Walsham’s flat (No.38) in Jason’s Bentley. Annabelle goes to search flat after Walsham leaves with Durrres. Whist Jason in wooing Janet Walsham, Howard Walsham arrives and sees Annabelle watching the flat (opposite No 38). After Annabelle leaves, Jason tries his own method of obtaining information. Unfortunately, Howard arrives and interrupts his interrogation. 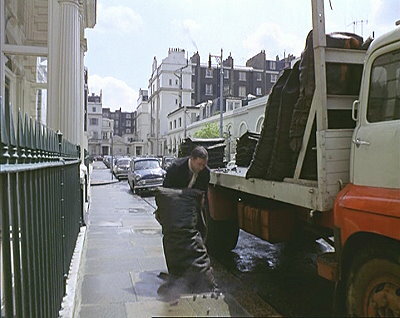 Ovington Square, SW3 – After seeing Annabelle watching his flat, Howard Walsham drives around the block and enters by a back way. 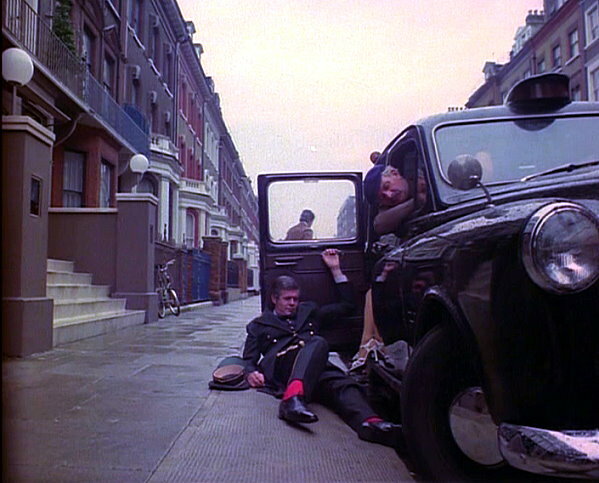 Later Annabelle and Jason stake out Sir Charles Hallet’s (Tony Steadman) flat in Jason’s red jaguar. They watch as he gets into a taxi and follow in Jason’s Bentley. Beckton Gas Works, E6 - The tour bus arrives at a deserted dock by the Thames. Tina (Sara Kestelman) tells the passengers to hide their weapons and make theselves comfortable. Bart (Prentis Hancock) checks checks his weapon. 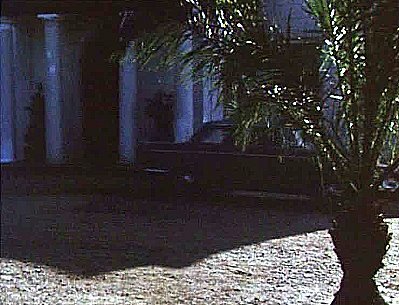 Frank Hardy (Joe Dunne) tries to escape to warn Steed but is shot by Tina. 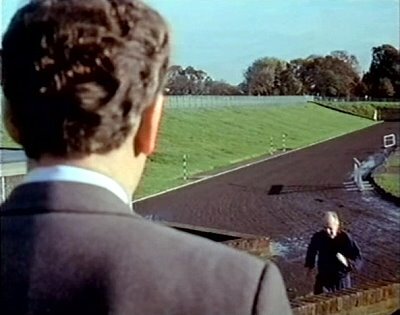 In the morning Brady (Keith Buckley) arrives with the S-95 gas and hands it over to the helicopter pilot (Peter Godfrey). He makes a final inspection of the gang before they set off. Gang memebers include Fred (Gavin Campbell), Ben (Dave Schofield) and Bill (Leo Dolan). 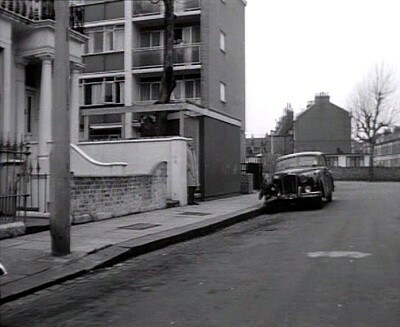 Aldensley Road, W6 - Directly after the establishing shot of Kensington Olympia station, Steed’s car is seen making a left turn. 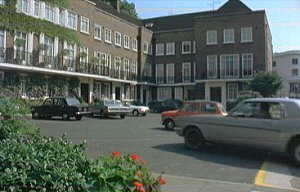 This is Aldensley Road W6 turning into Brackenbury Road.The shops on the right in Brackenbury Road appear in two episodes of The Sweeney and at least one of Minder. 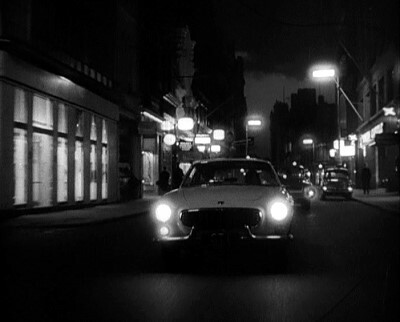 Old Bond Street, W1 - The Saint drives through London at night in his Volvo on his way to Gabriel Forest’s home (Old Bond Street W1 passing Stafford Street). 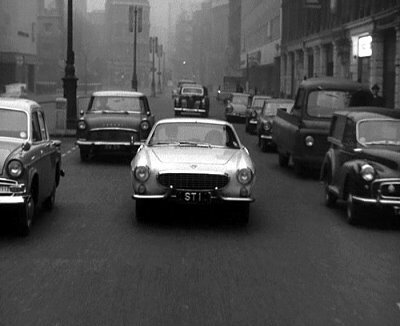 Holborn Viaduct, EC1 - Simon Templar drives Gabriel Forest to the Kosey Korner Café in his Volvo. Carlton Vale, NW6– A police officer keeps Adam Strange and Inspector Collins informed about the car carrying Gynt (by The Carlton Tavern). 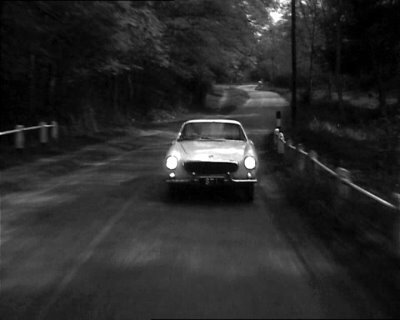 Kenneth Ripwell leaves his father's house for London in his sports car he is followed by Simon in his Volvo. Simon manages to loose him at a railway crossing. N21: London Road (and Silver Hill), near. 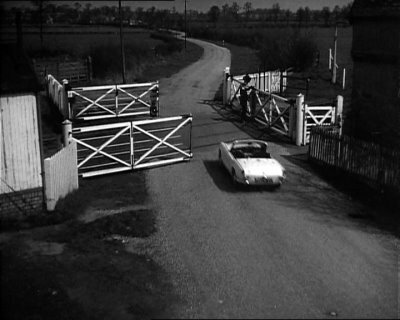 Shenley - Kenneth Ripwell leaves his father's house for London in his sports car he is followed by Simon in his Volvo. 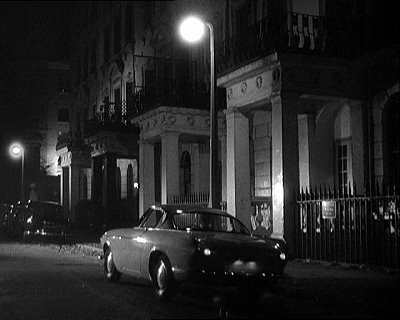 Upper Brook Street/North Audley Street/Grosvenor Square, W1– Crooks Syd Carter and Larry Larkin roam the streets looking for cars They drive on to a quiet residential street. Bushey High Street/Park Road, Bushey- Nurse Smith is rushed to hospital in an ambulance after being knocked down. 19th February - Geoff Dodd sent in Woodchurch Road photos. 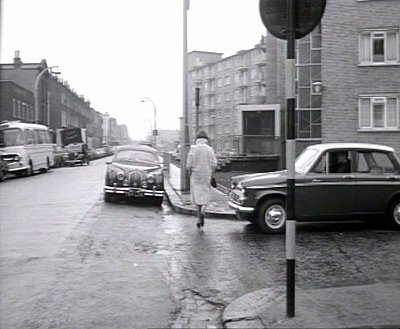 Woodchurch Road NW6: Mrs Peel arrives the offices of H. Merryweather, Chiropodist. The Plain, Oxford- Lockier drives into Oxford with Paul and the Contessa in pursuit. Pembroke Square, Oxford - Lockier (Donald Houston) parks his car (in Pembroke Square) then enters Pembroke College to confront his son. He has been followed all the way by Paul Buchet (Tony Anholt). 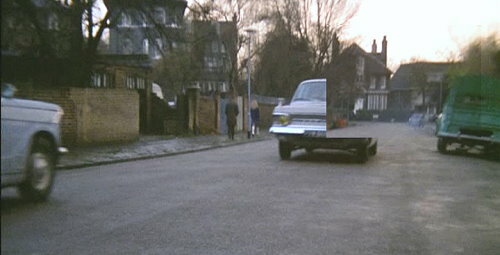 Later Paul and the Contessa watch Devlin and his students leave the college and Devlin drives off in a van. Calle del Conde de Miranda - The Contessa (Nyree Dawn Porter) waits (in the Mercado de San Miguel) for Harry to emerge. When he does she hails a taxi (from the steps of the Mercado) as Harry is driven away but loses him as his car circumnavigates the Plaza de San Miguel and disappears along the Calle del Conde de Miranda. 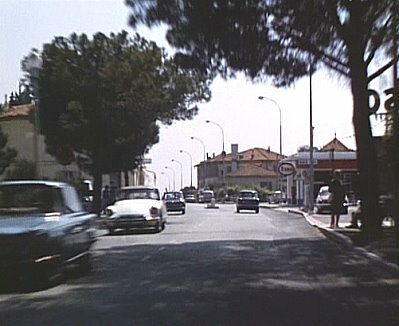 Calle Cava de San Miguel - Harry Rule (Robert Vaughn) is lead down some steps from the Plaza Mayor (Calle de los Cuchilleros) then along a road (Calle Cava de San Miguel) and through a door his is followed by The Contessa (Nyree Dawn Porter). Calle de la Ribera Curtidores- The Contessa (Nyree Dawn Porter) visits the The Rastro Market looking for her contact. Later Paul Buchet (Tony Anholt) looks for the same man. Oxford Street- 2nd rain shot looking towards Duke Street from Lumley Street. Great George Street, SW1- Cavendish (Nigel Green) leaves his office building, observed by Heidi (Kate O'Mara) and Ingrid (Magda Konopka) who are waiting at a bus stop. Horse Guards Road, SW1- Cavendish (Nigel Green) is confronted by Heidi (Kate O'Mara) and Ingrid (Magda Konopka) in the back of a black cab. Additional detail of the three photos of the Sacré Coeur on the FRANCE page. 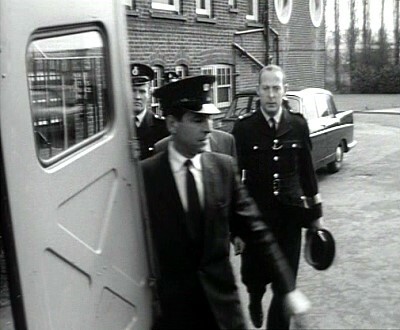 Hendon Magistrates Court, The Hyde, NW9 – Gideon (John Gregson) watches as Syd Carter (David Gregory) is put into a prison van, after his hearing, and is driven away. Information sent in by 'Greg', but waiting for photos before details are published. Craven Hill Gardens, W2 - Taxi Stops on a side street and Corrigan gets out. Simon is not far behind. 6th February -Some more firsthand knowledge has come to light as Ian Rogers, has been in touch to let us know the location of Tiny Bray's house in the GIDEON’S WAY episode The Reluctant Witness. Ian writes: "I can tell you exactly where this was filmed as I was living there at the time. The location is Fuller Street, Hendon NW4 that was, but was pulled down in about 1966. The current Fuller Street is not quite on the same alignment as the original. The War Memorial which can be seen on the wall over Gretchen Franklins' left shoulder was re-erected at the new Fuller Street however. "Our house was used for wardrobe and make up and is the one which Frederick Peisley enters and Gretchen Franklin exits and they both gave me their autographs." 5th January - Thanks to Jaz Wiseman who has taken the time to send in two locations he has spotted in THE AVENGERS. From The Murder Market, New Southgate Cemetery, N11 and from The Master Minds, an establishing shot of The Place of Westminster, SW1. 31st January - Thanks to Mike Richardson for sending in his spot of The British Museum, Great Russell Street, WC1 in the THE AVENGERS: Sell Out. 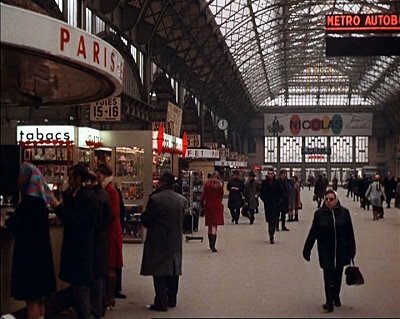 24th January - A bit of local knowledge has enabled Andy Lawrence to identify this sequence from THE AVENGERS: From Venus With Love. 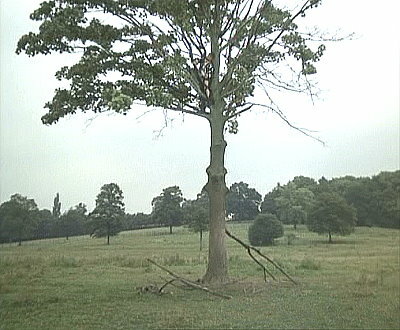 This was filmed in the grounds of Rabley Park, J3. 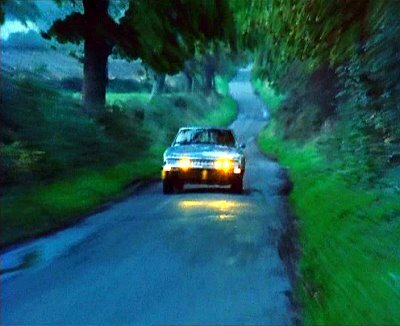 The Lotus drives along the road in the opposite direction seen in The Joker. 20th January - Geoff Dodd - a number of new photographs. Lowndes Place, SW1 is the location for the Embassy that Craig Sterling is taken to by Walter Pelham and Sandra Hurst. It's also seen earlier when the coal man makes his delivery while Richard and Sharon listen in on the phone. 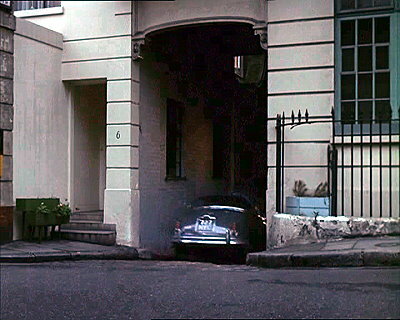 The location of the garage where Richard and Sharon race to Craig's rescue is 6 Belgrave Mews West, SW1. 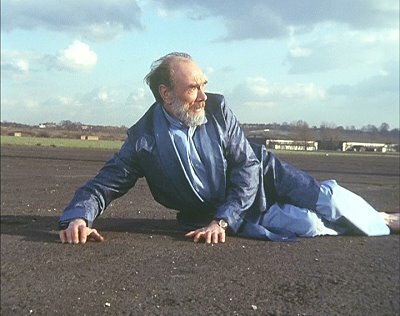 16th January - Geoff Dodd has finally found the location of this short sequence from THE AVENGERS: Stay Tuned. 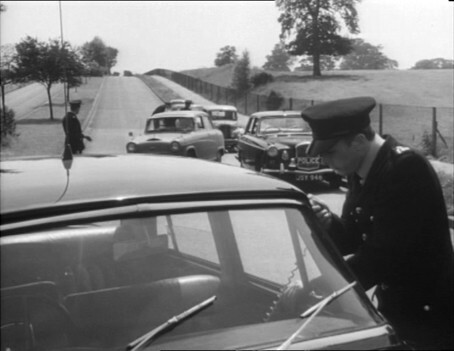 This was filmed at North Avenue at the junction with Queens Way as viewed from Black Lion Hill, Shenley. The gateway marked the entrance to Shenley Hospital, N23. Thanks also to Geoff for the photo. 8th January - Paul Stroud can claim the first location identified in 2010. He has spotted a short sequence in THE CHAMPIONS episode To Catch a Rat. When Sharon leaves the taxi after buying drugs she is finds herself in Motcomb Street, SW1. 12th December (actually received 10th October) - Three locations from Adrian Grepnold who has managed to identify the corner of Duchess Street and Mansfield Street, W1 as seen in THE SAINT: The Smart Detective. The location is virtually unchanged. And from JOURNEY TO THE UNKNOWN: Girl Of My Dreams – Greg goes in search of the bank in Carrie Clark’s premonition. He crosses the road Shoe Lane, EC3. And from GIDEON’S WAY: The Firebug, our first E11 location as we see stock footage of a fire engine which features High Road, Leyonstone, E11. 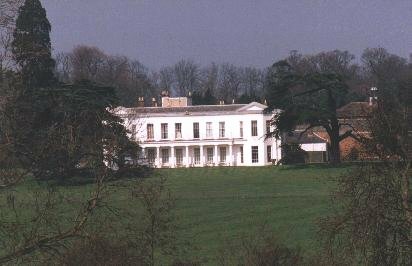 Rothschilds was at no 748 just north of Browning Road. 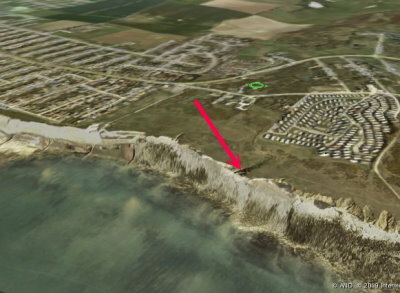 11th December: Two JOURNEY TO THE UNKNOWN locations identified by Alan Field. 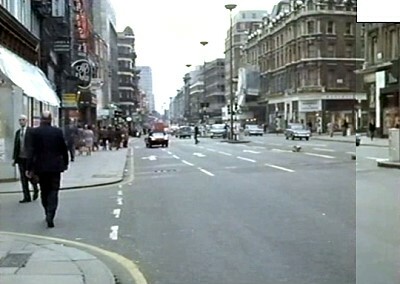 From Do Me A Favour And Kill Me, the London street down which Jeff Wheeler is walking when a car attempts to run him down. This is Oxford Street, W1. 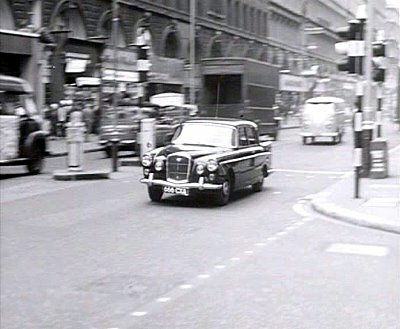 As Alan pointed out, this was a difficult find as left turn into Old Cavendish Street was part of a temporary (four year) one-way system put into place in August 1963 while the ticket hall of Oxford Circus tube station was rebuilt. Another inspired find is from The Madison Equation is Parliament Hill Fields Athletics Track. Parliament Hill Fields, Highgate Road, NW5 where Jack Hedley goes to interview Richard Vernon. 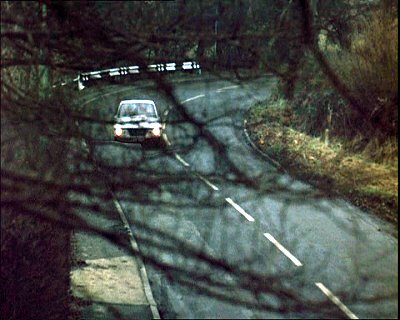 After Geoff Dodd found the dual carriageway from GIDEON’S WAY:The Tin God Alan also send in the location of the back projection form the preceding sequence. "This is the A1 northbound from Apex Corner / Northway Circus NW7 passing Mount View, The Fairway and Mill Hill Golf Course before looping back to the start. 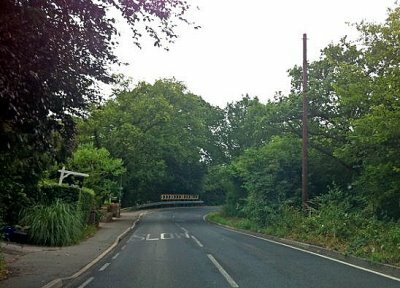 Three times they drive away from Apex Corner between stealing the car and arriving at Pinner." 5th December - many thanks to Andrew Chilcott who has sent in these locations: From DEPARTMENT S: The Bones of Byrom Blain, Gare de l'est in Paris (and not the Gare du Nord as purported). 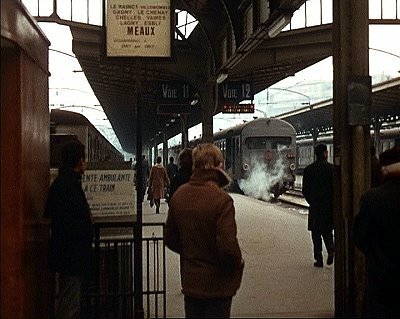 "In particular, the train indicated as leaving platform 11 is for Meaux, which has always been served by the Est station in Paris." From DEPARTMENT S: A Cellar Full of Silence Netherwood Street, NW6 in the London Borough of Camden. 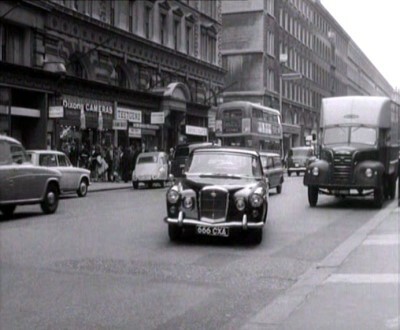 "Today's Netherwood St. is unrecognisable from the 1968 view, as it has been entirely redeveloped". I should also note that Andrew pipped Adrian Grepnold to the post as Adrian sent in the same observation a few days later. Andrew also suggested that we look closer into the runways seen in the DEPARTMENT S episodes A Ticket to Nowhere and DEPARTMENT S: Who Plays the Dummy? being Hendon Aerodrome. After a little research we have to concur. 4th December - A busy day for international location spotters! Piers Johnson - has spotted an Australian location in DANGER MAN: The Man on the Beach. The footage shoes skiffs on Sydney Harbour. Piers adds; "The flag is probably indicating an ex-pat Scotsman, the skiffs running out of the Flying Squadron are famous for having large emblems on the sails to identify them - these days it's mostly corporate logos. 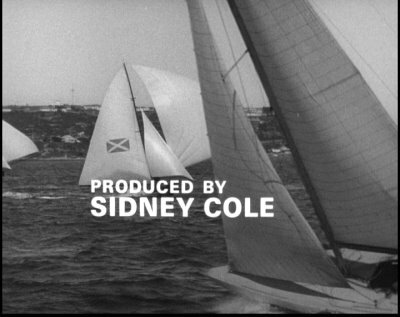 The squadron sail out of Careening Cove, which is just East of the Harbour Bridge - their racing course goes out past Taronga Zoo nearly up to Vaucluse,"
Another international spot comes from Adriano Candali who has finally identified this footage from DANGER MAN: You’re Not In Any Trouble, Are you? 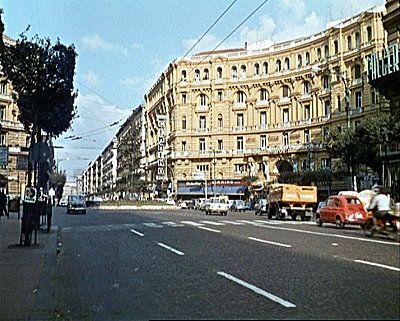 as via Veneto, in Rome. 30th November - THE PERSUADERS! unknowns, French, Italian and Pinewood added to LS37. 29th November - The original Avengerland location spotter, Mike Richardson, has come up trumps with this THE NEW AVENGERS location. 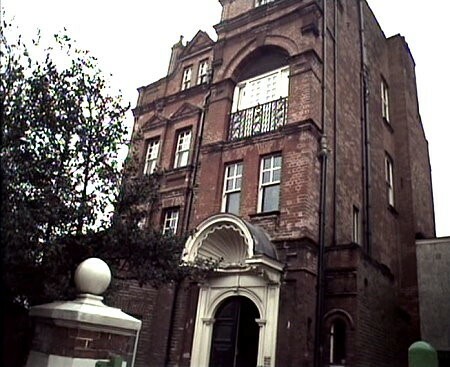 From the episode Sleeper we see Townmead Road, London, SW6. 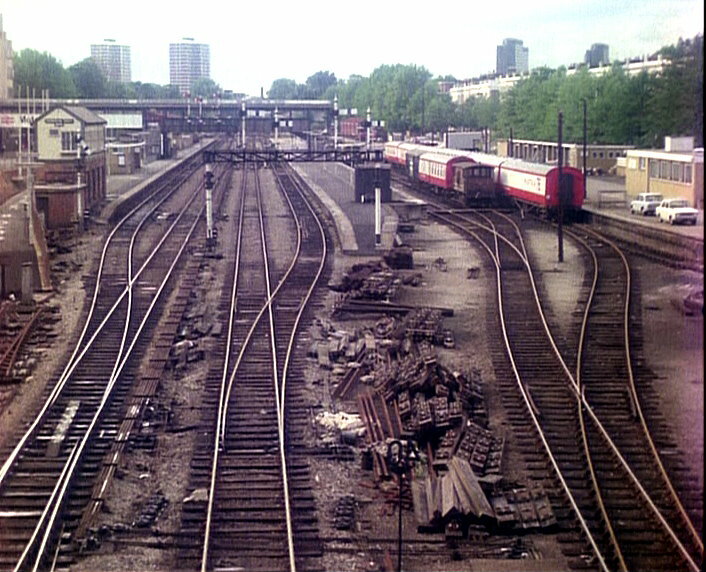 The bridge under the railway still exists, although bypassed by the Townmead Road extension but the sidings have been redeveloped together with what is now Chelsea Harbour. 27th November -A cracker of a find from Geoff Dodd who has finally found the road seen in back projection in the DEPARTMENT S episode A Cellar Full of Silence. This is City Road, EC2. Geoff has also found another elusive piece of back projection, from THE SAINT: A Double in Diamonds. 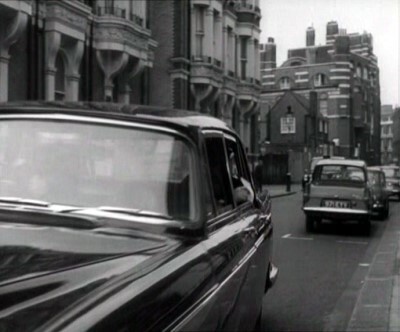 An impressive find as the film was shown reversed in the episode and featured Gloucester Terrace, W2. 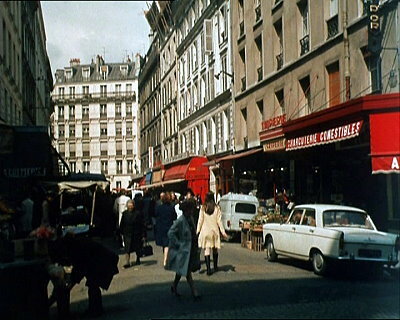 24th November - Paul Stroud has kindly sent in another batch of French locations fromTHE PERSUADERS! episodes The Gold Napoleon, To the Death, Baby and Angie...Angie. 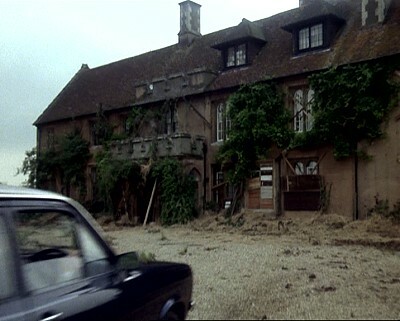 19th November, 2009 - Another surprise from out of the blue, David Harris has found the farm from the opening sequence of THE AVENGERS: The £50,000 Breakfast. 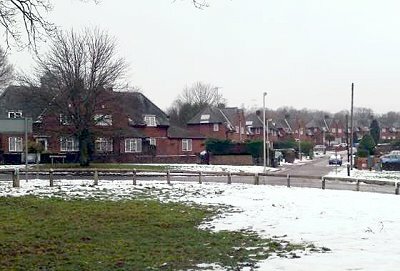 This is K10, Home Farm part of the North Mymms Park estate. I doubt that it would have been found without David actually going there to check it out. His photograph is conclusive proof. 18th November - Geoff Dodd has come up with the goods again as he has found the road used in this sequence ofGIDEON'S WAY: The Tin God. 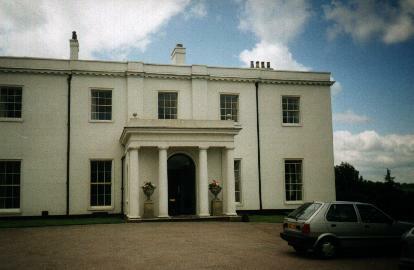 The locations, which has hardly changed at all, is P11: George V Avenue, Pinner Park, Harrow. 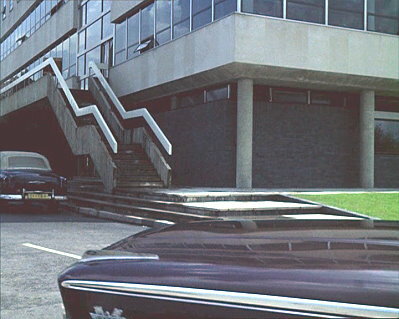 17th November - Paul Stroud has been in touch with more details locations used in THE PERSUADERS! : Five Miles to Midnight. 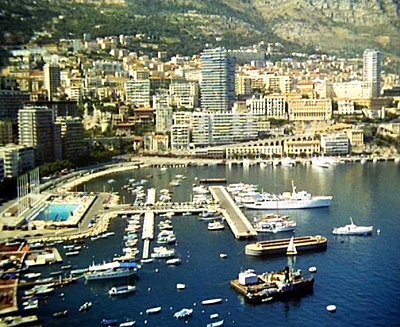 Locations include Rome, Italy locations plus new locations from Nice, France. 9th November - A very impressive spot from Alan Field who has found Mavis' boarding grubby house from the MAN IN A SUITCASE episode The Girl Who Never Was. This is All Saints Road, W11. Store Street, WC1 - After scanning a street with a spotlight for Eric Jansen, the police Landover is called away by a radio message and drives down this street. 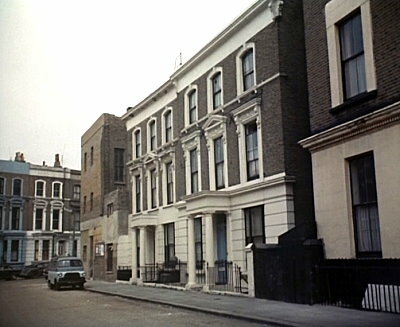 Malet Street WC1 - Jeff is driving over to Jeanie's flat in his Vauxhall when he is intercepted my Marty with new that Jean has already left to see Emile (north up Malet Street, passing the end of Keppel Street). Later Jean takes the same route in her Mini to go and see Emile. Gower Street, WC1 - Jean is driving her Mini to go and see Emile when she is stopped at the traffic lights (Store Street/Keppel Street). 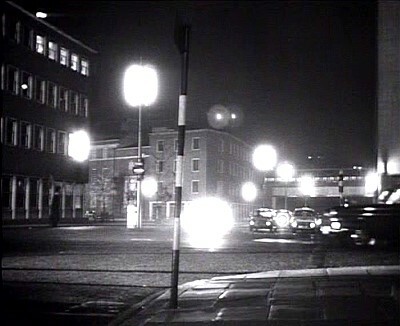 Finally, a correction: Alan was very surprised when I read that the deserted street scenes from the start of Never Trust A Ghost and It’s Supposed To Be Thicker Than Water were filmed in Kingston-on-Thames because they didn’t look like any part of Kingston that he had ever known. That's because they are both Store Street, WC1 first is looking west across Tottenham Court Road towards The Rising Sun pub and the second is looking the other way from the same point. Looking west along Upper Thames Street, EC4 across the junction with Queen Street. 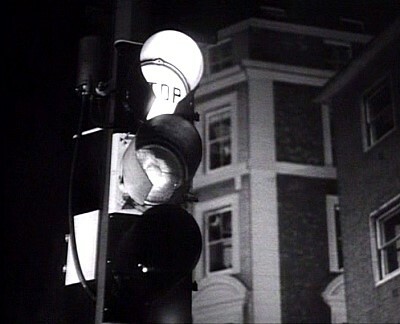 (It’s while waiting at these traffic lights that Gordon Jackson gets shot in The Ipcress File). The archway with the glass canopy is just about the only unchanged feature. The State Visit, Subway To Revenge and The Wall - Victoria Street, SW1. 14th October - Thanks go to Geoff Dodd for sending a number of location photographs from the W2 area to fill the gaps in the guide. His new photos are of Gloucester Terrace/Craven Road, Bouverie Place, Radnor Place, Sussex Place and Hyde Park Gardens Mews. Geoff has also finally spotted the mews in THE SAINT: The Man Who Liked Toys that the Saint follows George Fowler to. This is Southwick Mews, W2. Needless to say, Geoff has also provided a photograph of his latest find. 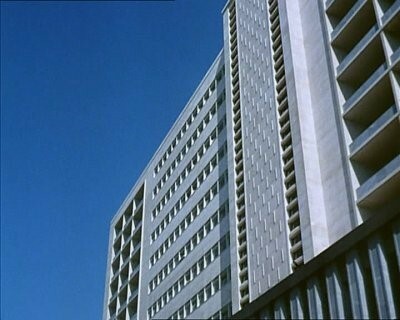 14th October - Remy on the Britmovie forum has managed to find the East German Embassy in Geneva from the DANGER MAN episode A Room in the Basement. 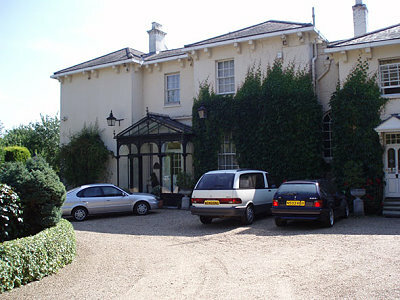 The building is on Wadham Gardens, NW3. There is also a nice photo of the house if you follow this link 3 Wadham Gardens NW3 . 12th October - Geoff Dodd has come up trumps again. 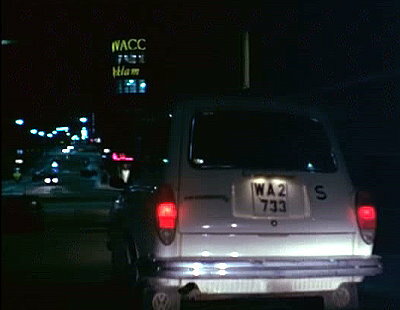 This time he has found the suburban road taken by Mary Straker’s ambulance in the U.F.O. episode Confetti Check A-O.K. The bizarre thing about this location is that there is nothing special about the location and the ambulance eventually arrives at M.G.M. Borehamwood studios but they went all the way to C24: Bishops Rise, South Hatfield to film it. It’s no wonder this has taken over ten years to find. Well done Geoff! 10th October - A major correction from Ryan McGuinness. 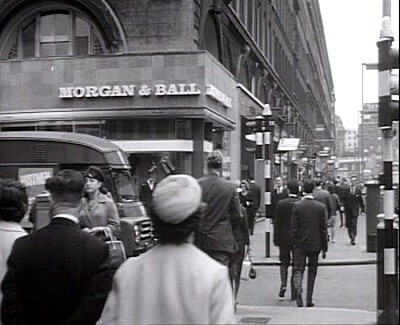 Ryan has been researching the location of the World Travel offices featured in DANGER MAN hour-long series. We had this listed as Saint Paul’s Churchyard, EC4 in a demolished building. Ryan has conclusively proved that the building was located at 20 Cannon Street, EC4 and what is more, it still exists. Even spookier, it is the offices of a travel agency! 5th October - Thanks to the SainT and Mark O on the Britmovie Forum for finding Penny’s flat from the DANGER MAN episode The Mirror's New. 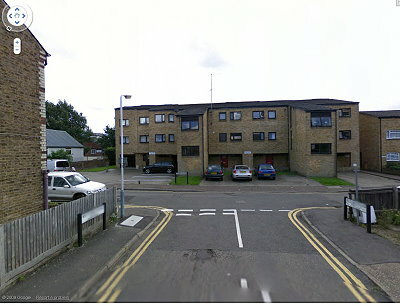 Thanks also to Geoff Dodd for sending in a photograph of said flats which are Q29: Garrick Court, Green Lane, Edgware. 29th September - The location of the seedy club featured in THE SAINT: The Scorpion, found by Geoff Dodd, is Bouverie Place W2. 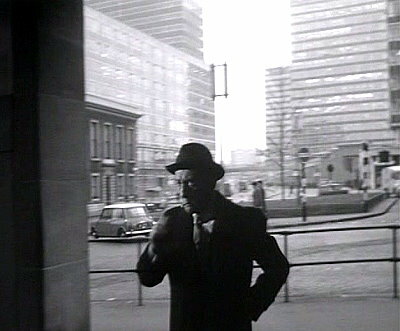 Peter Astaire has also traced a location from an episode of THE SAINT. 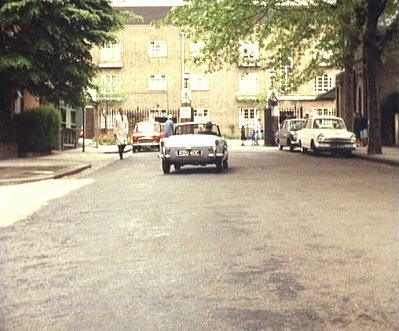 Simon’s Volvo enters Cannonbury Square, N1 in the episode The Contract. 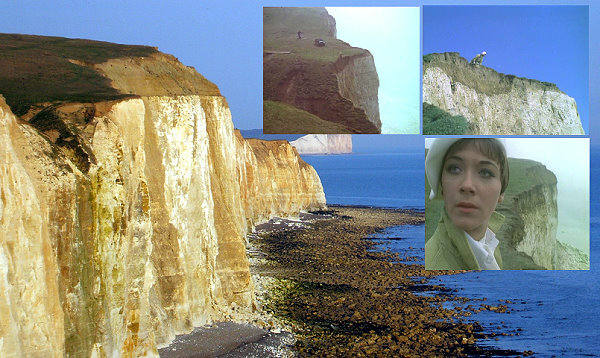 27th September - Celia O'Connor has finally managed to find the location of the beach Hamlyn Gynt swims to in the STRANGE REPORT episode Heart 'No choice for the donor'. This is Whitstable, Kent. 24th September - Unknown locations from MAN IN A SUITCASE: Night Flight to Andorra added to LS21. 23rd September - Geoff Dodd has found the library where Andros Matakitas committed his ghastly crime in JOURNEY TO THE UNKNOWN: Matakitas Is Coming. It is Mayfair Library, 25 South Audley Street, W1. 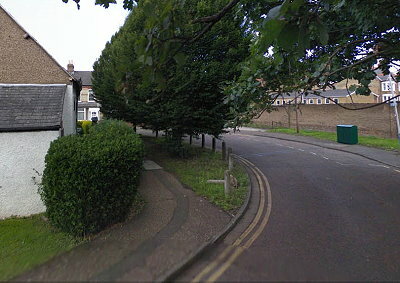 Geoff has also found two Cambridge locations for another JOURNEY TO THE UNKNOWN episode; Jane Brown's Body. 20th September - better photos and unknown locations from THE NEW AVENGERS: The Tale of the Big Why added to LS71. Found locations being gathered intoLS0. 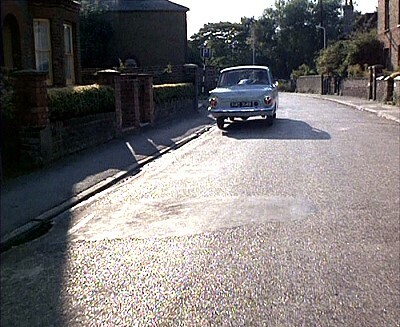 17th September - Geoff Dodd has identified more roads seen in the RANDALL AND HOPKIRK [DECEASED] episode All Work and No Pay- Two sequences of Jeanie driving her mini to the Foster brothers’ mansion along Barnet Lane, Borehamwood, Q7 and Q28. 9th September - James Webster has written in with the location of the iconic scene where Purdey, on her motorbike pursues, Bert Brendon as he drives past a country pub in theTHE NEW AVENGERS: The Tale of the Big Why. 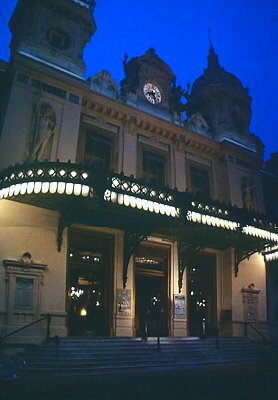 Geoff Dodd was identified one of the establishing shots of 'St. Bodes' from THE AVENGERS episode A Sense of History as Corpus Christi College, Cambridge. 3rd September - A major find from Geoff Dodd has identified Nan-Clark's Lane, Highwood Hill in both THE AVENGERS: Who's Who??? andMy Wildest Dream as well as Hankins Lane/Stockton Gardens, NW7 in THE AVENGERS: Who's Who???. These have been two very elusive locations that we have been looking for for years. To top it all off, Geoff has also provided photographs. 22nd August - A correction from Steve Cook; Lincoln's Inn Fields, WC1 for THE PROFESSIONALS: No Stone is incorrect. The car bomb triggered by the parking car was in Northampton Square, EC1. 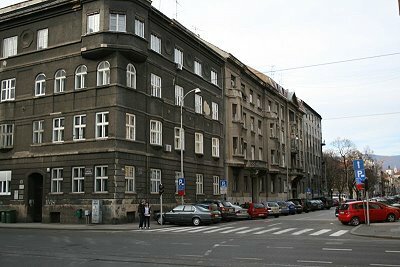 City University buildings can be seen in the background and Google Street View confirms the shot. 17th August -Two detailed spots from Victor Hall. The first had already been proposed by Geoff Dodd, but Victor helped confirm the find. Diane Keen climbs over a wall and escapes with her boyfriend in the RETURN OF THE SAINT episode The Debt Collectorsat Q25, Wood Lane heading towards Stanmore from the A5 Edgware Road. A very obscure location identified by Victor with his local knowledge is from GIDEON'S WAY, Boy With Gun. 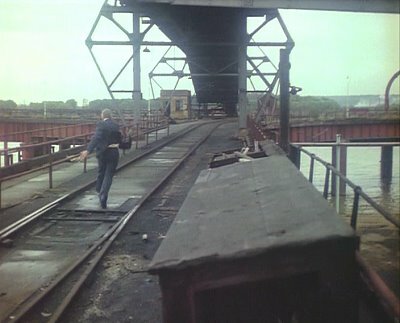 Chris Kirk (Howard Knight) walks along some railway tracks with his gun. 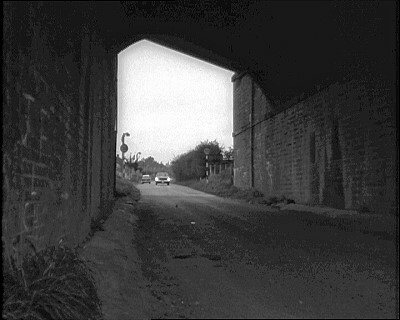 This was filmed on the Midland Main Line running through Napsbury at the sight where the Signal Box once stood, I7. 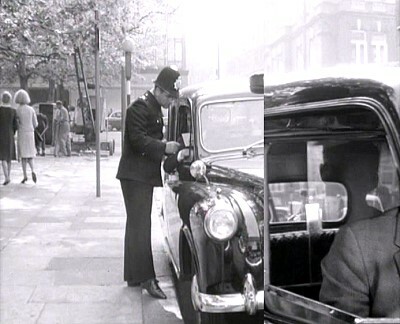 In THE PROTECTORS: The Big Hit Chino follows Howard’s heavies down Cromwell Road, SW7. General Platt lives in Lansdowne Road, W11 in RETURN OF THE SAINT: The Poppy Chain. 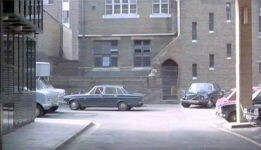 20th May - Geoff Dodd has identified Bridge Wharf, SW11 in the RANDALL AND HOPKIRK [DECEASED] episode Just For the Record. 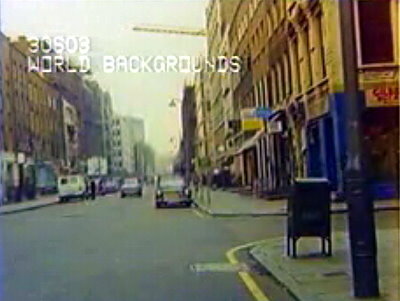 The footage is an interesting shot of a London which is fast disappearing. Paul Stroud is continuing his researches on THE PROTECTORS and has identified a number of the places visited in Edinburgh by the eponymous Shadbolt. These include Fettes College, Melville Street, Grassmarket and the Vennel, He also found Collingham Road, SW5 in THE PROTECTORS: Vocal. 18th May - More from Geoff Dodd who has identified Winnington Road, N2 and Holne Chase, N2 in THE SAINT: The High Fence. 17th May - From THE SAINT: The Scorpion, Geoff Dodd has found Eddie riding his bike along Winnington Road, N2. Alan Field spotted a location that had been completely overlooked, Sarah Bosanquet’s flat in the U.F.O. episode Destruction. Kendal Street, W2. 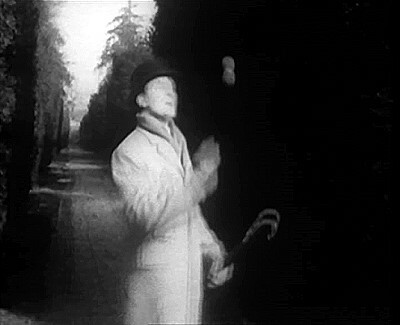 16th May - Peter Astaire has found Dean Street, W1 in a tricky little back projection sequence from THE SAINT: Luella. 15th May - Another THE AVENGERS location had been spotted, this time by Geoff Dodd. 178 Sutherland Avenue, W9 is where Tara King is stood up by Minnow in The Interrogators. 14th May - Tony Pendrey on the Britmovie Forum has identified the Corfu location for MAN IN A SUITCASE: The Boston Square as Cowes on the Isle of Wight. This is very surprising, given that this series didn’t tend to travel far. THE BARON: There's Someone Close Behind You - N45, Saint Katherine's Dock, E1, Hyde Park Gardens Mews, W2, Gloucester Terrace, W2, and Gloucester Gate, NW1, Q25. 12th May - Christopher Matheson‘s contribution has enabled us to narrow down the location of THE BARON’s shop in There's Someone Close Behind You - Sussex Place, W2. 8th May - Jaz Wiseman has been kind enough to send in excellent photos of a number London locations. It is easy to forget with all the images available from Street View, that we still need actual photographs to illustrate the guide. 6th May - Ever on the lookout for overseas locations Paul Stroud has sent in detailed information about the Austrian location filming for THE PROTECTORS: WAM Part 1 and Part 2 and Border Line. He also spotted Mansion House Street, EC4, Hyde Park Corner, W1 and Trafalgar Square, WC2 in WAM part 1. 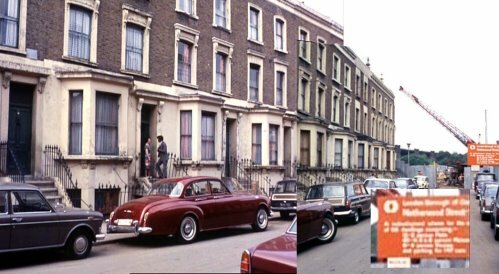 4th May - Geoff Dodd has found all the missing locations from the THE CHAMPIONS: Full Circle; Caledonian Road, N1, Wheelwright Street N1, Winnington Road, N2, Charlbert Court, NW8 and Park Lane, W1. 3rd May - Christopher Matheson has put his detective skills to the fore and found Creed Lane, EC4 in THE PROTECTORS episode A Kind of Wild Justice. 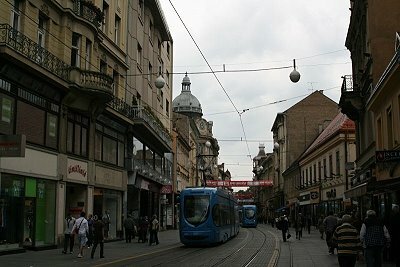 It is amazing how this part of The City has kept its character. 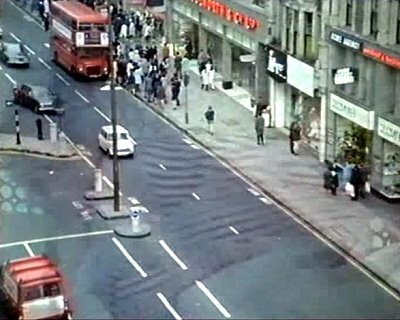 26th April - Alan Field has once again come up trumps finding the last missing location from THE CHAMPIONS: The Experiment on Maida Vale, W9. 15th April - David Harris has at last found the water tower seen in THE SAINT: Where the Money Is. 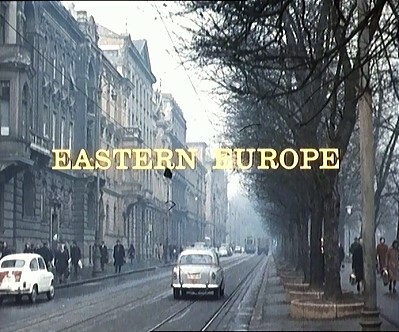 The episodes directed by Roger Moore always seem to have more location work than others and this is no exception. 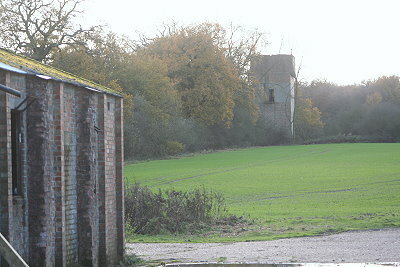 Amongst the many locations in this episode we have to add Biggleswade as the water tower is at Toppler’s Hill, just south of the town on the A1. 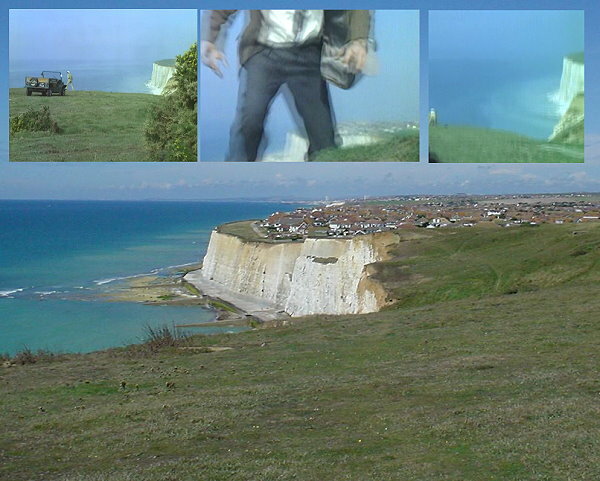 13th April - A correction had to be made for THE AVENGERS episode All Done With Mirrors location that I thought was Beachy Head, has been found and is just east of Peacehaven. Other then some new coastal erosion protection round the base of the cliffs, the site is almost identical to what it was in 1968. 11th April - More from THE PROTECTORS: A Kind of Wild Justice as Geoff Dodd has found the two streets Paul drives along as he tails Kate Linderman’s car through London. The route Paul takes is along Gloucester Road/Hereford Square and in to Harrington Gardens, SW7. 8th April - Paul Stroud has been putting Street View to good use and has come up with three locations for THE PROTECTORS: A Kind of Wild Justice: Saint Paul's Churchyard, Dean's Court and Carter Lane, all EC4. 5th April - Alan Field has been busy on Street View and has found the following locations: From RETURN OF THE SAINT: The Arrangement the church at the end of the episode is Holy Trinity, Brompton Road, SW7. 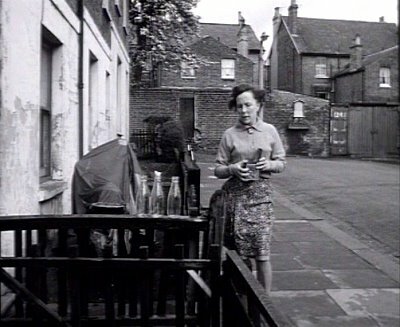 GIDEON’S WAY: The Housekeeper features a meeting in Canons Park, Canons Park. A fairly tricky location to find from GIDEON’S WAY: The Nightlifers, Pembridge Square, W2. A very, very tricky spot from STRANGE REPORT: Epidemic, Saint Stephen’s Gardens, W2 which no longer exists. Finally a very interesting location form THE SAINT: The Elusive Ellshaw, Roland Gardens, SW7. 2nd April - A newcomer to the site, Martin Green, has at last found the ‘Smart Weston’ street corner location from THE SAINT: The Man Who was Lucky. 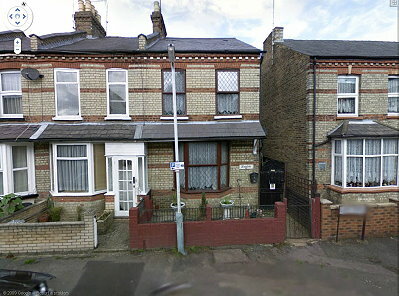 It’s one of the possibilities that was listed, 103 Golders Green Road, NW11, and was found with the aid of Street View. Thanks very much Martin for taking the initiative to find it. 31st March - Sharp eyed Paul Stroud has spotted Fitzjohn's Avenue, NW3 in THE PROTECTORS: Burning Bush. 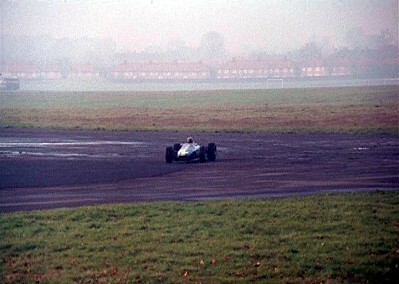 He also spotted Heathrow Airport in the same episode. 29th March - Thanks to Street View, Geoff Dodd has conclusively identified Kensington Road, W9 appearing in DEPARTMENT Perfect Operation, Geoff had this down as a possible location way back in December. 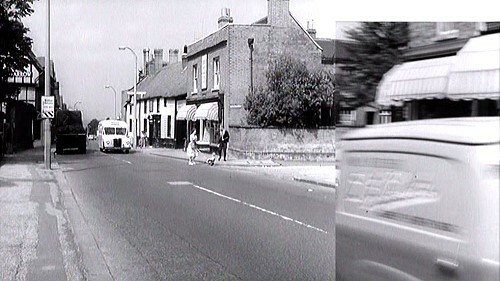 More from Colin Jordan who has identified a tricky DEPARTMENT S location from The Duplicated Man. This is RNAS Culdrose, near Helston, Cornwall. Colin also spotted Offord Road, N7 in GIDEON'S WAY: Gang War. 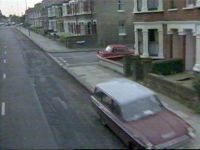 28th March, 2009 - Colin Jordan wrote in asking if knew which black and white THE SAINT episode featured Brandon Road, N7 as his grandmother remembers it being filmed. We didn’t have one listed, but a quick search of the unknowns revealed that the episode was The Contract. What made things a lot easier was the Street View image he sent in to illustrate the scene. With the area covered by Street View growing day by day the opportunities for armchair location hunters are also growing also. 14th March - Thanks to Bendigo of the Britmovie Forum who has identified the church seen in THE SAINT: The Persistent Patriots. This is The Church of Our Lady, 54 Lodge Road, St John's Wood, NW8. I must also thank Geoff Dodd who spotted the same church in an early episode of BUDGIE and provided more reference still for us to help track it down. 28th February - The month ends with a bang, or a clap of thunder! The runway from the title sequence of THE PRISONER has at last been positively identified. After a couple of months of research which eliminated Bovingdon and Radlett as contenders I decided to revisit all previous suggestions. In the good old days the only two options suggested were Hethel and Santa Pod Raceway. Hethel had already been researched and found wanting, but I don’t remember why I never researched Santa Pod properly. After less than half a hour’s work Santa Pod looked possible, after one hour it looked very possible. I put my findings to the Britmovie Forum who were able to gather more evidence. The clincher was some 1967/68 drag racing footage on YouTube found by Mike Richardson. I must apologise to the lone voices crying in the wilderness who put forward Santa Pod as a possible location many years ago and were ignored. It is such a pity that these suggestions were never followed up. The conclusive result seen here was made possible by the contributions of a lot of people who have helped with this search. I can only name a few here: Jeff Morgan, Sam Denham, Mike Richardson, Michael Humphrey, Peter Dunn, Andrew Pixley, Steve Dix, Chevyman, MarmaladeSkies, PaulPlowman plus many others on the Britmovie Forum and Professional Pilots Rumour Network. 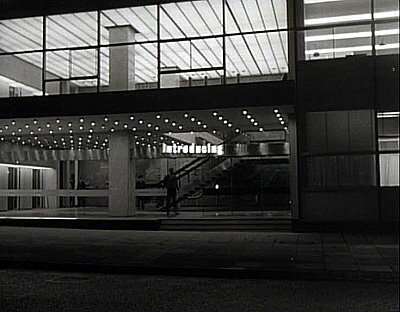 23rd February - Thanks to Wee Sonny MacGregor on the Britmovie Forum who has identified the offices of “The Society For Cultural Relations with South America” from DANGER MAN: Whatever Happened To George Foster?. This is Gordon Square, WC1. 20th February - Once more Remy Hunter on the Britmovie Forum has located another location from THE SAINT, Park Road, NW1. 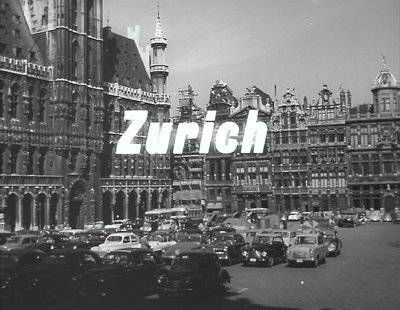 This location features in two episodes, using the same footage: The Rough Diamonds and The Smart Detective. 19th February - It is always good to welcome a newcomer to the site especially if they come bearing gifts. 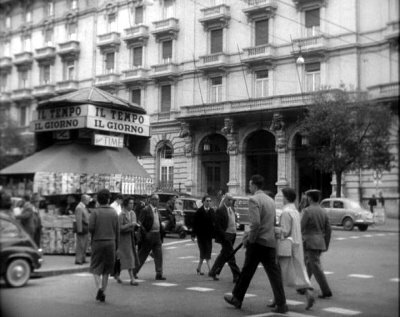 Stephan Thien has identified two ‘Portuguese’ locations from DANGER MAN: English Lady Takes Lodgers. This first, Cascais Beach, is actually in Portugal, the second, pretending to be Lisbon Airport is actually Luis Muñoz Marin International Airport, San Juan. 18th February - Another excellent find from Geoff Dodd, the missing location, High Pines, from THE AVENGERS: Return of the Cybernauts. This is Totteridge Park on Totteridge Common from now on to be called R11. 17th February - Geoff Dodd has been hard at work and come up with the following. From DEPARTMENT S: A Cellar Full Of Silence the gang drive down King Henry's Road, NW3 to the cellar of A R Franklin, at 6 Kings College Mews East, Kings College Road, NW3. 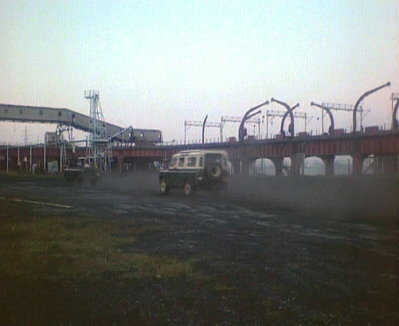 As can be seen from the episode the area was being demolished at the time. Jason King goes snooping round Netherwood Street, NW6, also redeveloped. 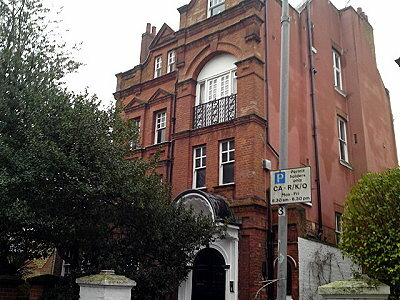 Geoff found the second location of Tronson’s house claiming in the episode to be “Avenue Road, St John’s Wood” at Avenue Road, NW8. 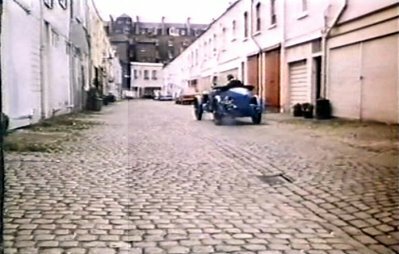 From DEPARTMENT S: Six Days two of the roads Annabelle and Jason in the Bentley drives down as they follow Sir Charles Hallet, Kensington Church Street, W8 and Notting Hill Gate, W11. 15th February - Via the Britmovie Forum Remy Hunter has located two locations from H. G. WELLS' INVISIBLE MAN: Flight Into Darkness. These can be found at Emperor's Gate, W8 and the junction of Launceston Place, W8 and Cornwall Gardens. 13th February - Thanks go to newcomer, Gary Loveday, who has identified two airport locations from H. G. WELLS' INVISIBLE MAN: Flight Into Darkness. These are Elstree Aerodrome, M17 entering the airport and the dramatic car chased takes place at RAF Hendon/Hendon Aerodrome, NW9. The hangars seen at the end of the chase are now the RAF Museum, and are not recognisable. 18th January - Thanks to Stephen Gallagher we now have photograph of Ettington Park. 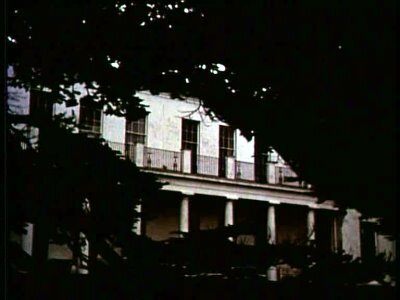 Stephen also pointed out that this location also features in Robert Wise's 1963 film, THE HAUNTING. Remy Hunter has proved to be a font of knowledge on Hampstead locations having identified four locations in one go: From THE SAINT: The Elusive Ellshaw, Belsize Crescent, NW3. From THE SAINT: The Covetous Headsman, Mansfield Place, NW3. From THE SAINT: The Covetous Headsman, Willow Road, NW3 and from GIDEON’S WAY: How to Retire Without Really Working Belsize Lane, NW3. Remy has also been kind enough to send in photos of some of these locations. 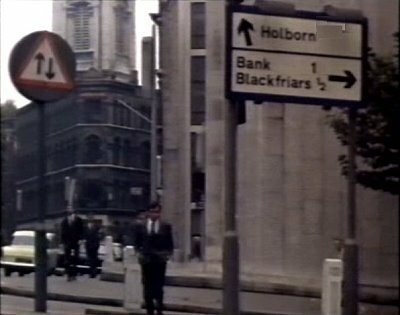 4th January - From DEPARTMENT S: The Perfect Operation,“Gazza” of the Britmovie Forum, has identified the junction of Tothill Street with Victoria Street SW1 (opposite Dean's Yard). Given the prominent location this has proved hard to identify, well done Gazza. 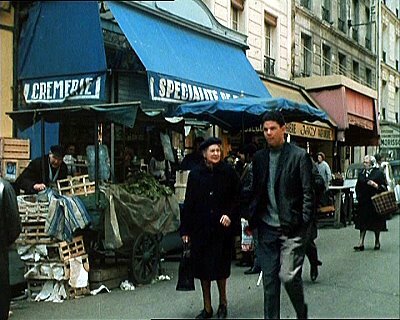 Some very good detective work from Klark Crass on the Britmovie Forum has resulted in his finding 17 Rue de Masonfrom THE SAINT episode The Abductors. Although the street has had a major facelift we can safely say that this is Colville Gardens, W11. 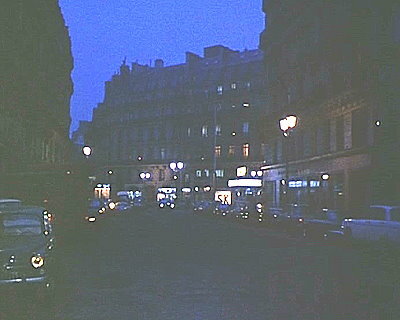 3rd January - ‘37Sunshine’ at the Britmovie Forum has spotted the flat used by Calvin P. Bream in RANDALL AND HOPKIRK [DECEASED]: When the Spirit Moves You and Vabour in DEPARTMENT S: Les Fleurs du Mal. This is Kings Court is at 31 Prince Albert Road, NW8. 1st January - Good work from Peter Astaire who has tracked down the street George Sewell escapes to in RANDALL AND HOPKIRK [DECEASED]: Vendetta for a Dead Man. This is Goodge Place, W1, a long way away from Wormwood Scrubs.